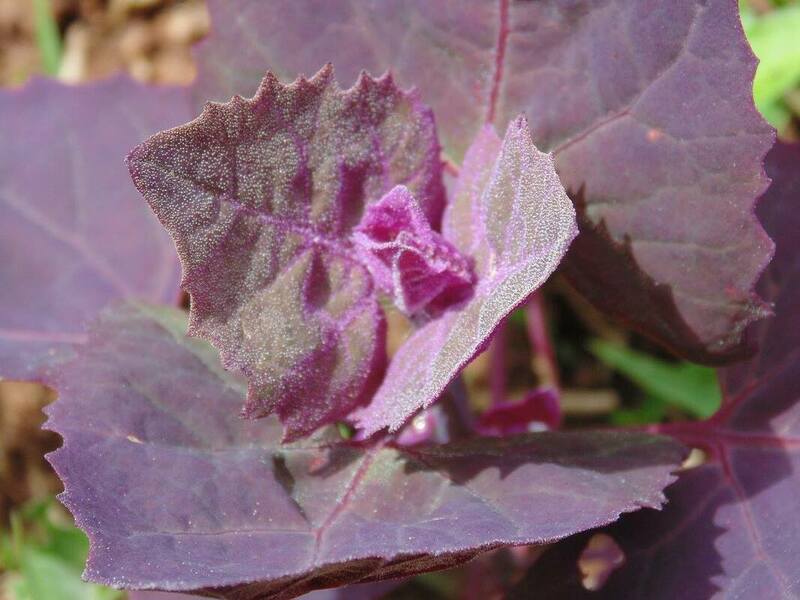 ​Magenta Orach - these incredibly coloured spinach-flavoured greens were once very popular in vegetable gardens from before the Ancient Greeks up until the Middle Ages when they were replaced by spinach, which they are a relative of. They are also very nutritious, being very high in vitamin C, K and potassium. 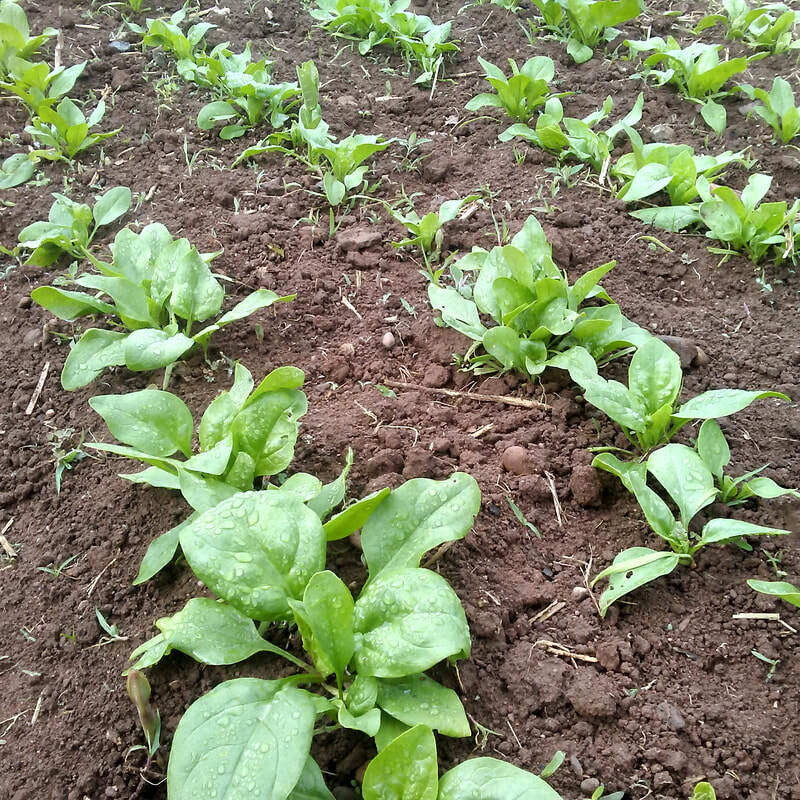 We tend to grow them in spring and fall when it's a bit cooler, they always end up in our salad and stir-fry mixes. We had one plant in the greenhouse grow to over 6 feet tall! 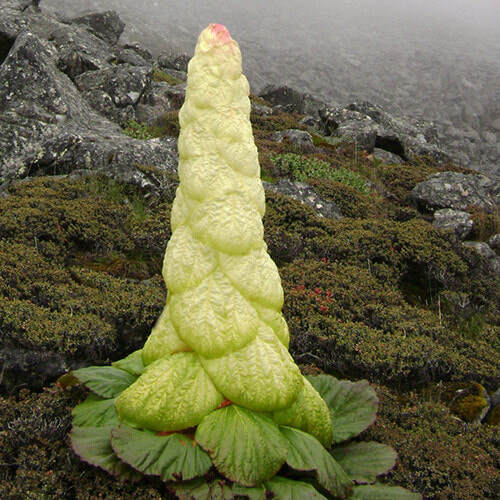 Quite the cool plant. 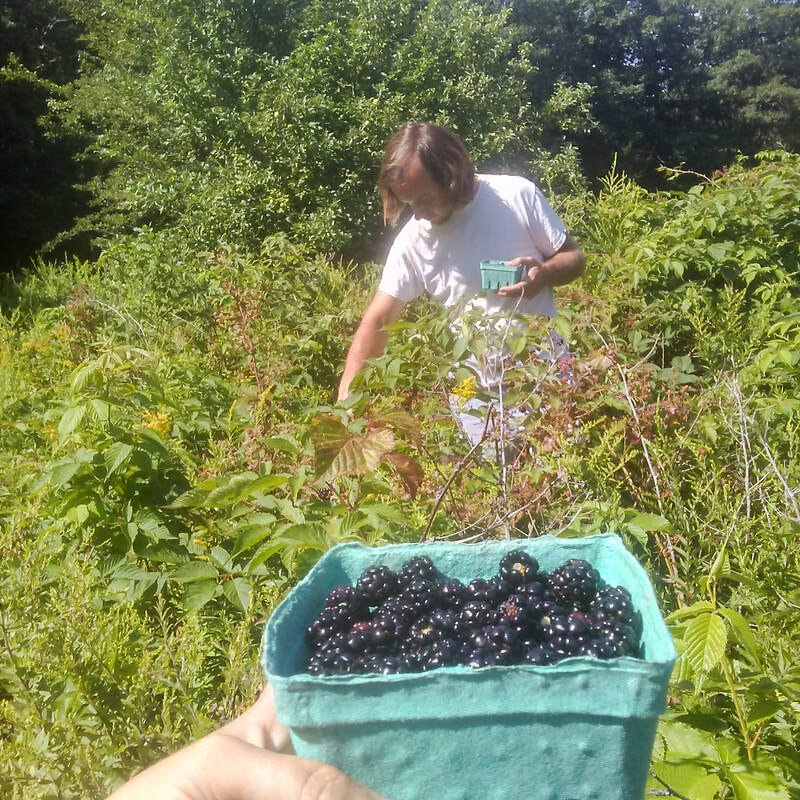 ​Nova Scotia Wild Blackberries! Anyone who grew up in NS probably will be very familiar with these from the time of being kids and happening upon a patch and proceeding to stuff as many as they can into their mouths! 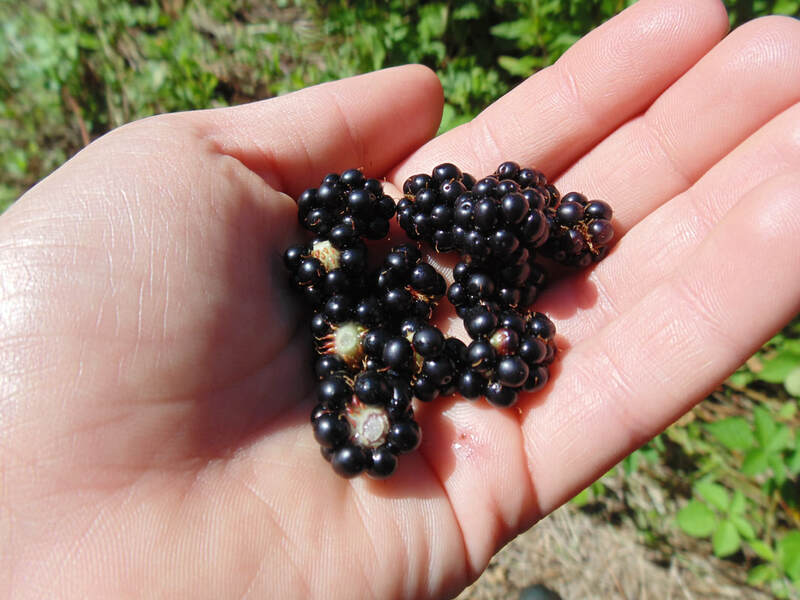 They are smaller than grocery store blackberries and much sweeter and flavour-packed. We've found that they tend to be even more flavourful in drier summers. 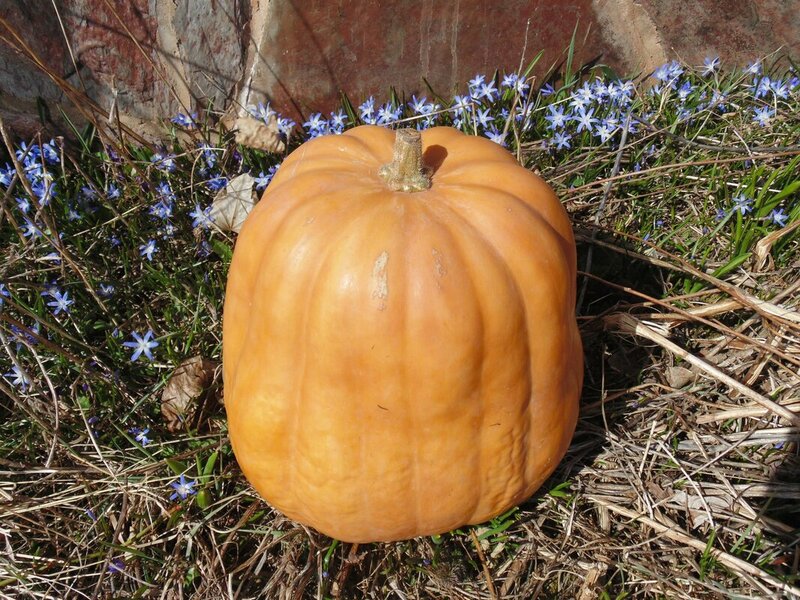 ​Crown Pumpkin - a beautiful blue heirloom pumpkin coming from New Zealand. 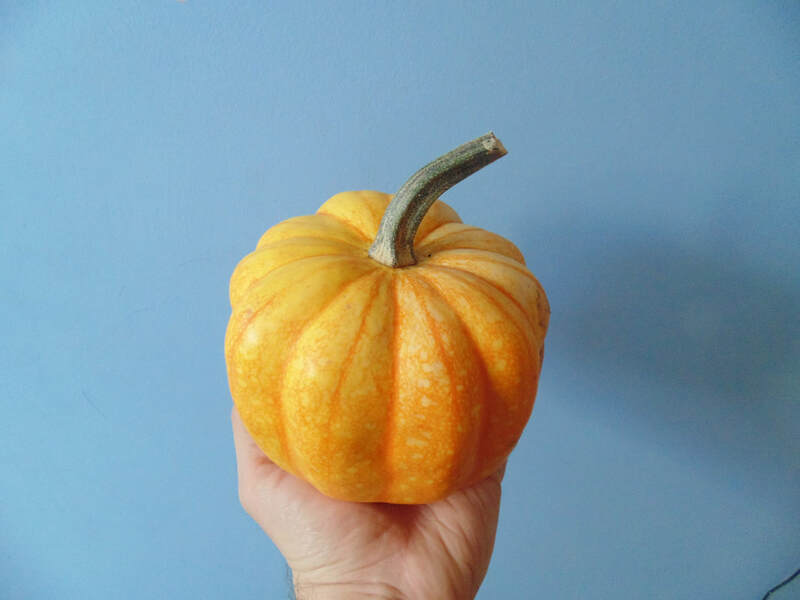 It doubles as a great fall decoration as well as a great eating pumpkin - they are mildly sweet, nutty, moist and smooth, one of our favourites. They can store for over 6 months, getting better tasting as they go. Unfortunately we had a complete crop failure for these in 2018 due to the double whammy of late frost and then dry-hot summer - here's hoping we'll have another nice pile this fall! 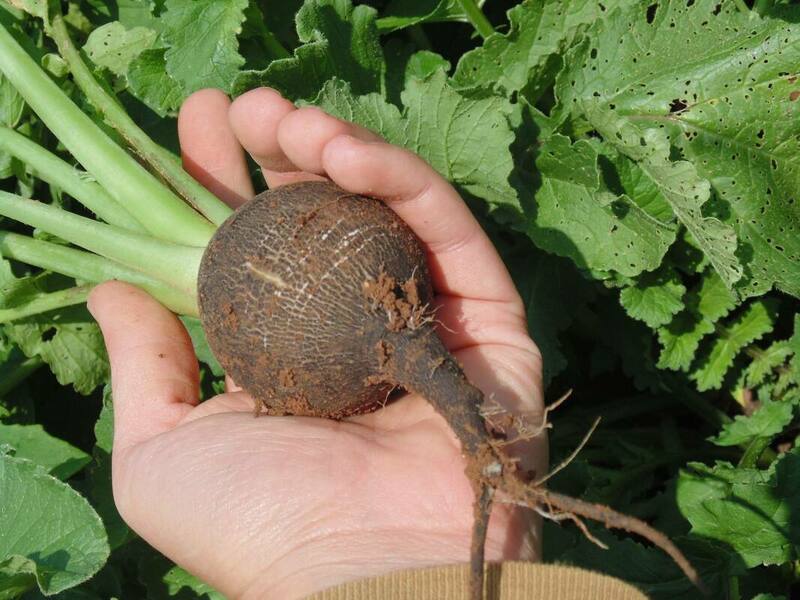 ​Black Radish - an heirloom fall radish with a long history of use in Europe and Asia. These are an unusual type of radish that was bred for its ability to store well and for its medicinal qualities. 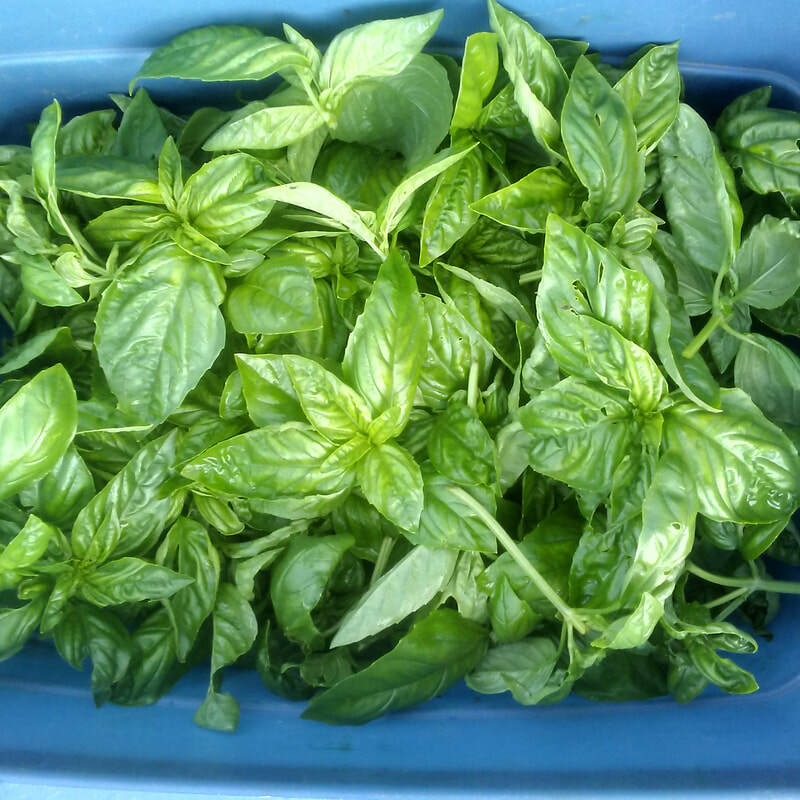 It has thick, rough skin that allowed it to last the winter in a root cellar, it will also last that long in the fridge. They are crisp white inside and have a very spicy, bitter flavour - great for adding a punch of flavour to a fresh dish, or if you cook it it becomes more mild. 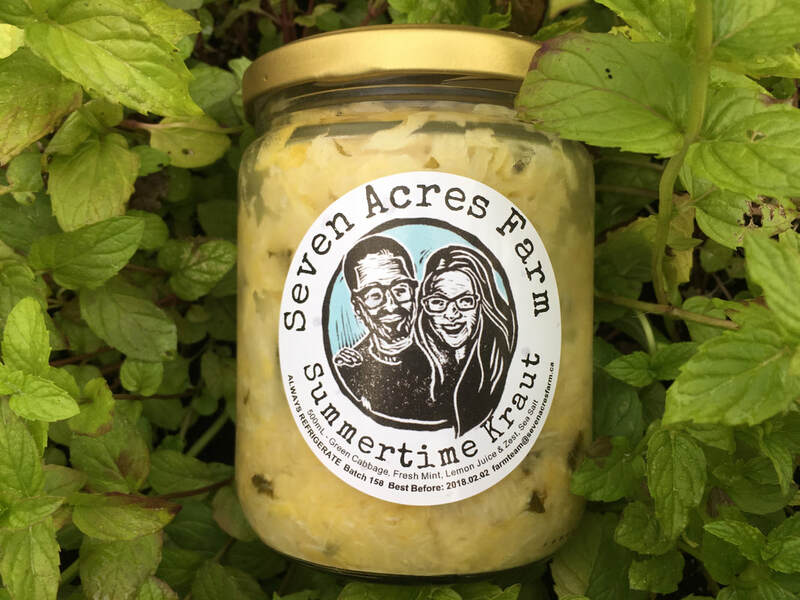 Our absolute favourite way to eat it is fermented, which we learned of through Seven Acres Farm & Ferments such deliciousness! There's an old traditional Russian remedy that uses black radish for a natural cough syrup. You take a large radish, carve out the inside, fill it with honey and let it sit for 5 hours before using the honey and radish juice mixture. I haven't tried this yet but it certainly sounds interesting! 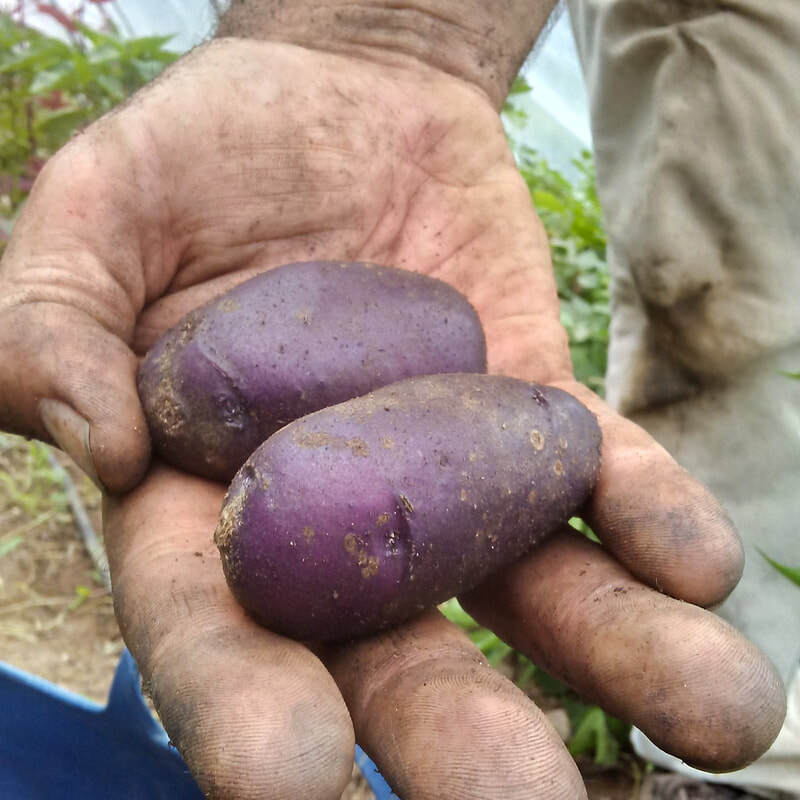 ​River John Blue Potatoes - a Nova Scotian heirloom potato. At one time this was the main potato grown in Nova Scotia, it's named after River John in Pictou County. People have even speculated that the name "Blue Nose" comes from how much we used to eat this potato. 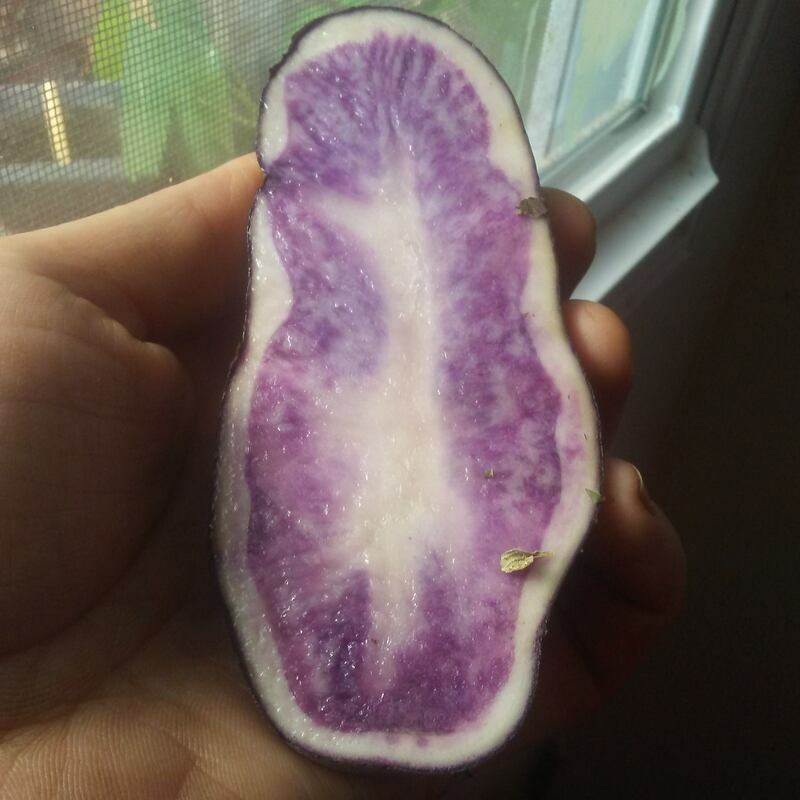 They are a beautiful purple potato that looks like a chunk of amethyst when cut in half, they have a good flavour and contain antioxidants due to their purple colour so they're healthier than white potatoes. 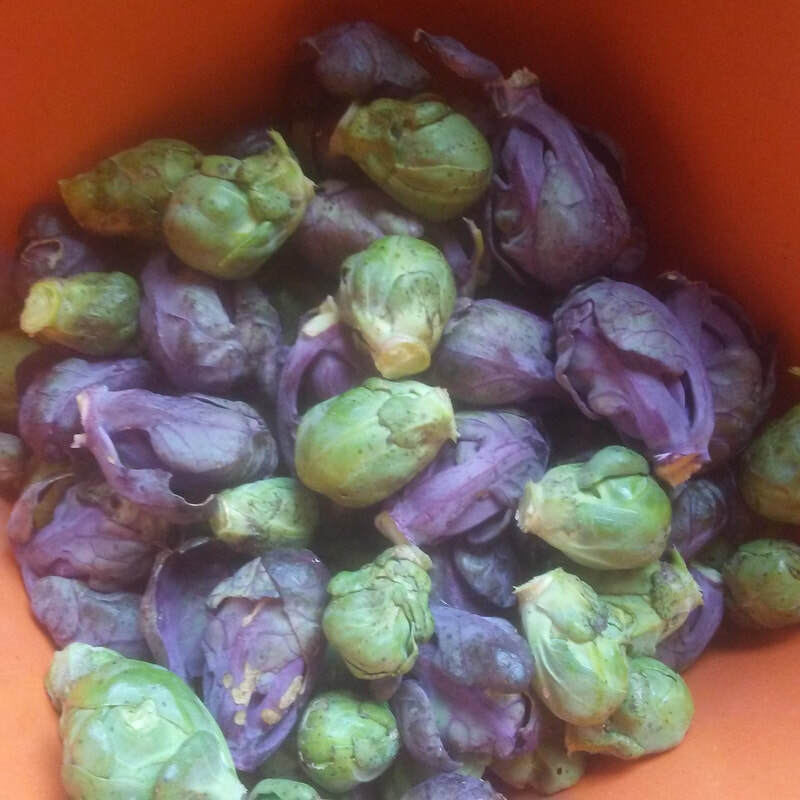 You can use them like a russet potato, they're great for roasting and mashing - purple fries and mashed potatoes!! 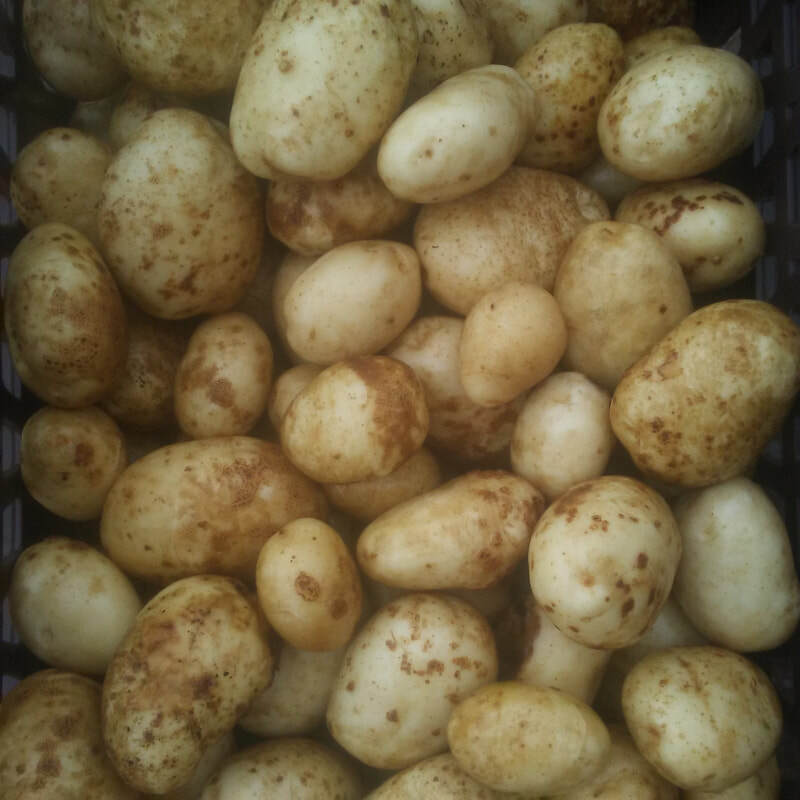 They are a bit later to harvest than other potatoes but we find they are more resistant to potato beetle than other varieties, they are always the last ones in the field still standing. 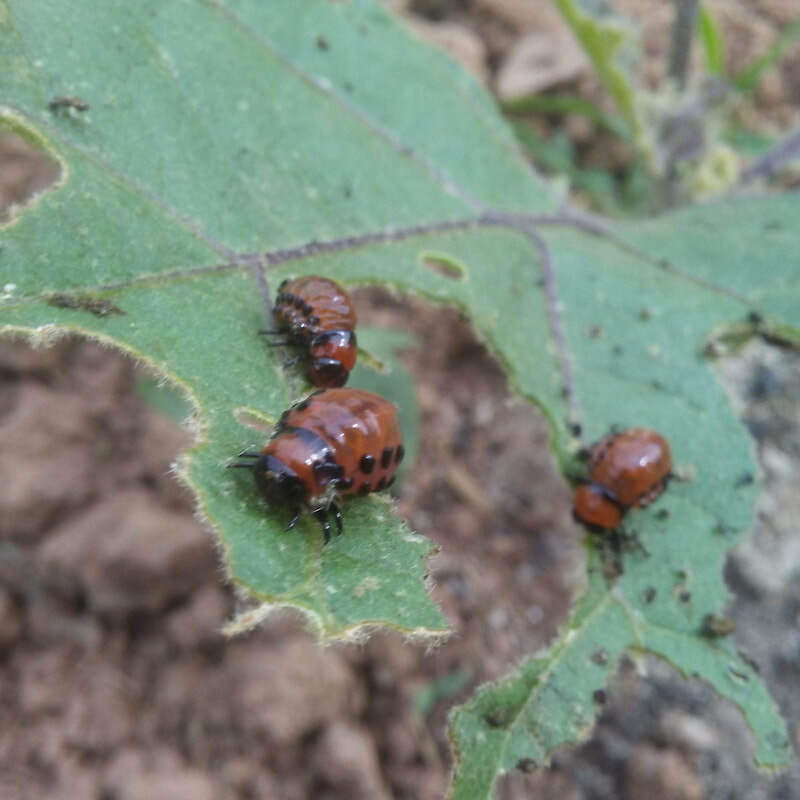 We think this is because they have longer stems, so are more lanky compared to other bushier types, more work for the beetles to climb up each stem? maybe. 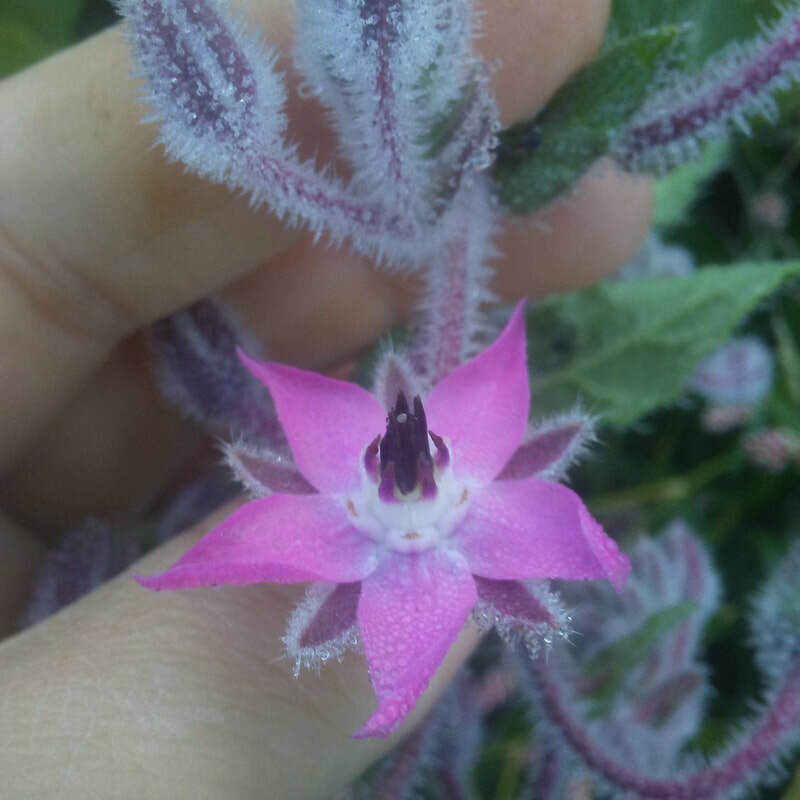 They have a really nice purple flower as well that the bees love, and their stems are purple as well which makes them an overall nice looking plant. 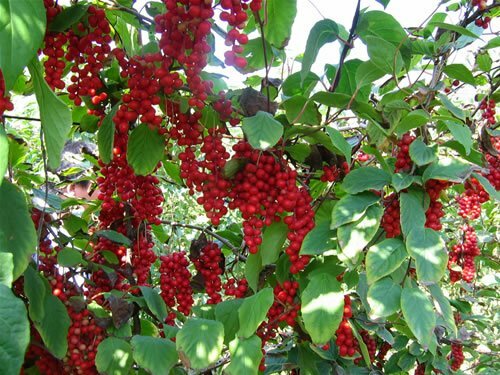 They also seem to produce fruit, the "potato berry", more readily than other types which makes them great for saving "true seed". ​Costata Romanesco Zucchini - one of the most popular zucchinis of Italy, and it's easy to see why - once you try one you're hooked! They are very beautiful to the eye, dark and light green striped with wavy ribbing and dark/light green speckles. 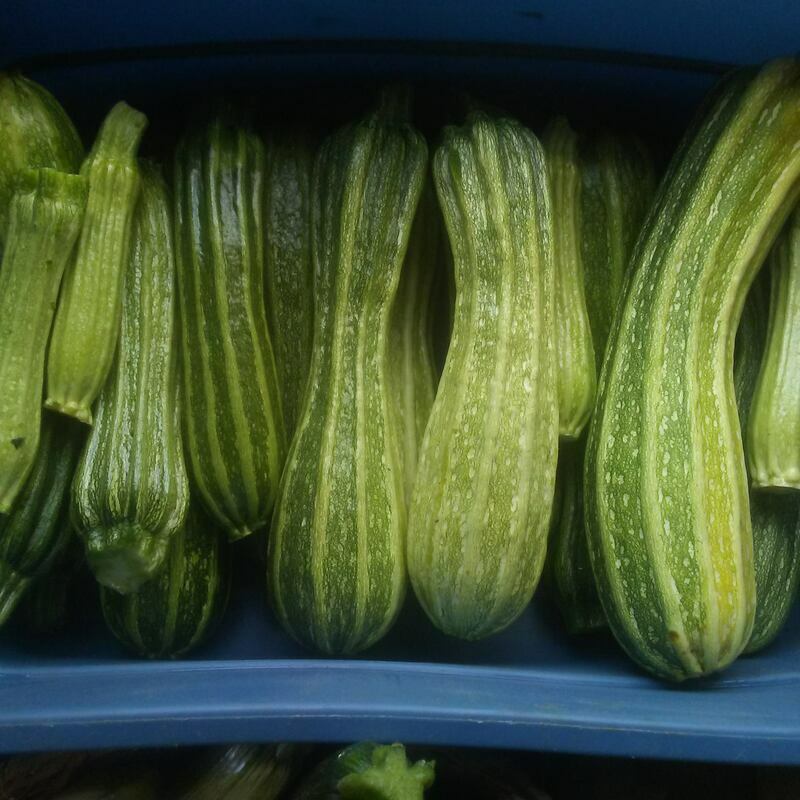 They have a nice nutty flavour compared to other zucchinis, and are more firm yet tender so have a better texture after cooking. Even when they get larger, where other zucchinis might get spongy or watery, these stay perfect. They are insanely productive as well, if you want to plant just one crop that gives you a load of food for the summer this would definitely be a good fit! 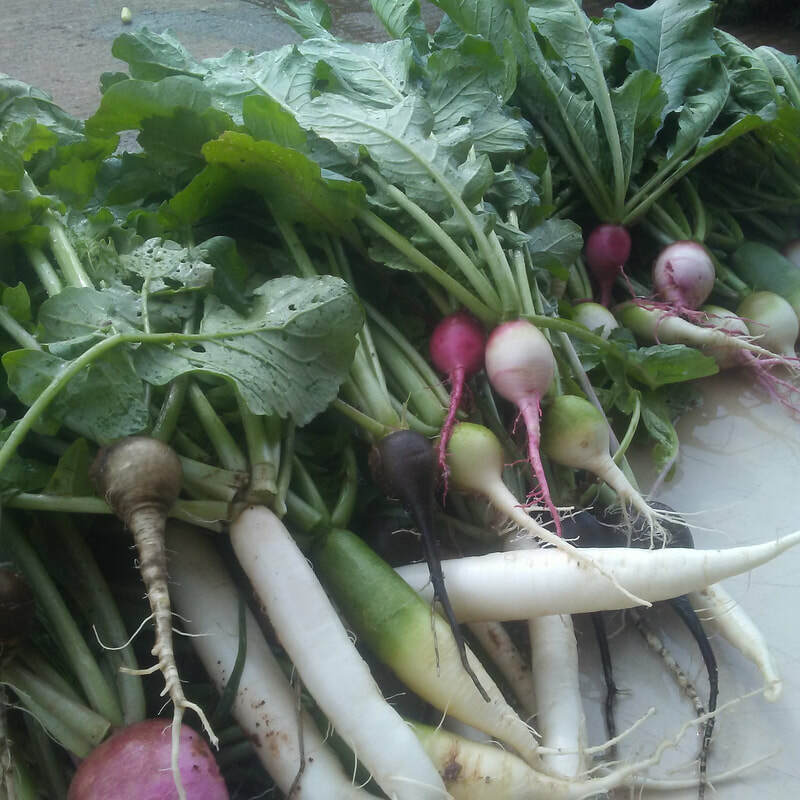 We grew these for the first time last year after hearing great reviews from other farmers and market goers, and now we're wondering why we didn't grow them sooner. 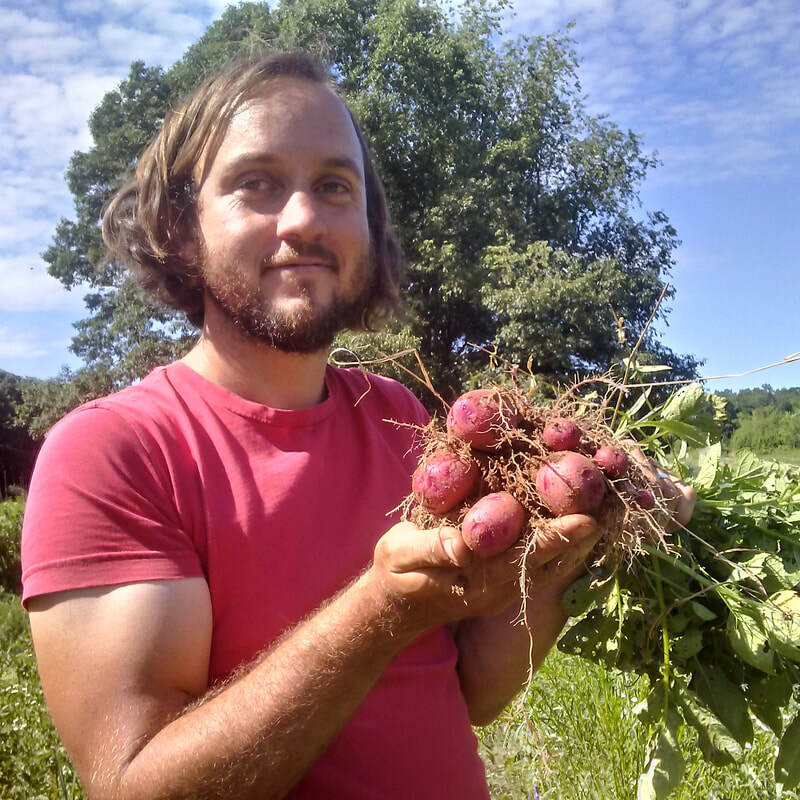 In the hot summer we had they grew absolutely huge and healthy, giving us plenty of food for the CSA, market and ourselves! 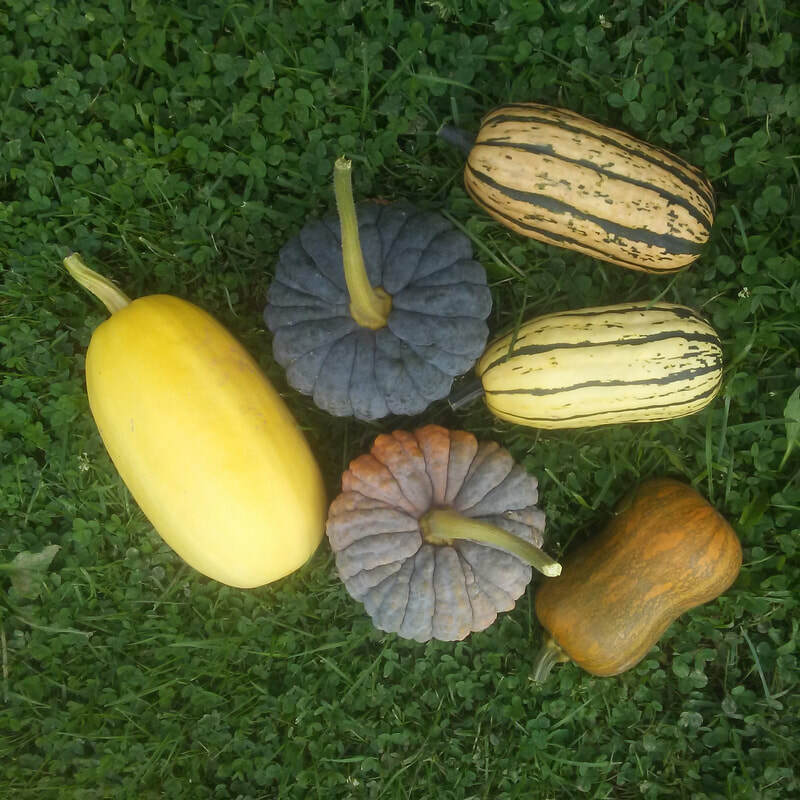 Squash and Zucchinis were domesticated thousands of years ago by Native Americans and were first used purely for their edible seeds, since the flesh was originally bitter and potentially poisonous (an attribute that lives on in decorative gourds - don't eat them!) Later on they selected more for sweet, smoother and thicker flesh which led to the squashes we know today. It's amazing to think about how much we have today that only exist because of the hard work of people that had come long before us. It's quite humbling to take on the work that has sustained humanity for millenia. ​Heirloom Multicoloured Carrots! Everybody's favourite colourful veggie. 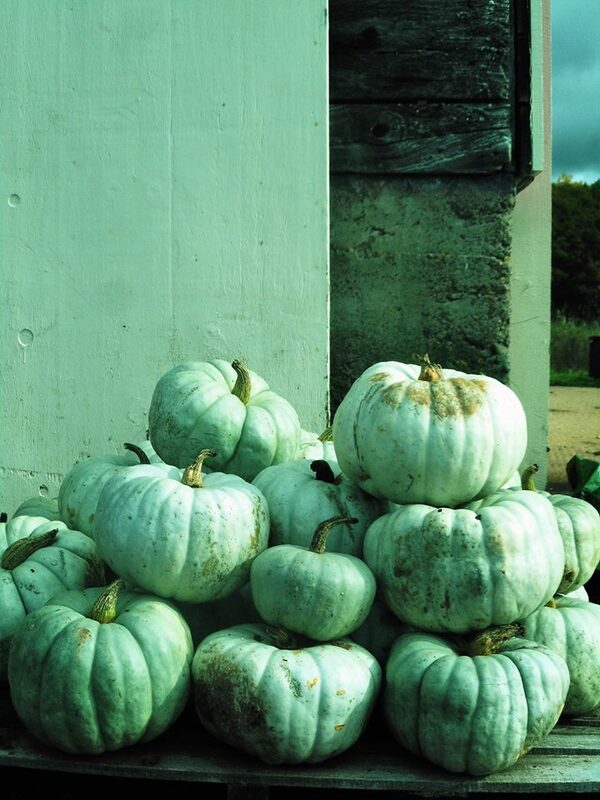 We love growing these beauties - every harvest is a surprise, you pull one up and and see what nice colours appear. We grow a bunch of different types of heirloom carrots and throw all the seed into the same seeder and then wait patiently to see what we'll get. 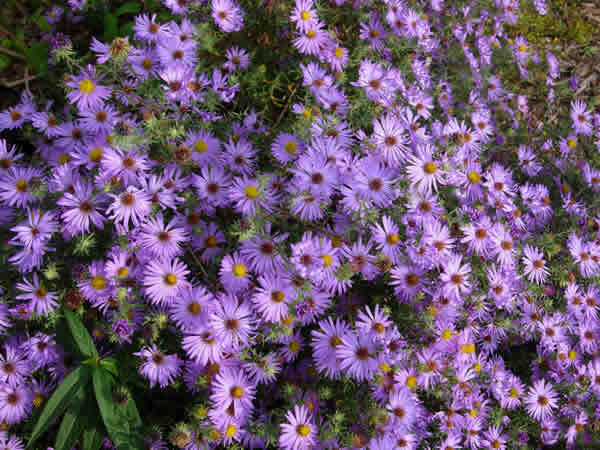 The purple coloured ones in particular have an added layer of surprise, since the inner colour can vary, depending on the variety, from purple, purple/white, orange, and orange/yellow. The different coloured types tend to grow at different speeds as well, with purple being the slowest, then red, orange, white and then yellow are the fastest. This is why (as our CSA members may have noticed) that the mixed bunches tend to have smaller purple carrots and larger yellow ones. The flavour is mostly pretty similar, but we find the orange type we grow (Scarlet Nantes - an heirloom from France) tend to be the carrot-iest of the carrots. 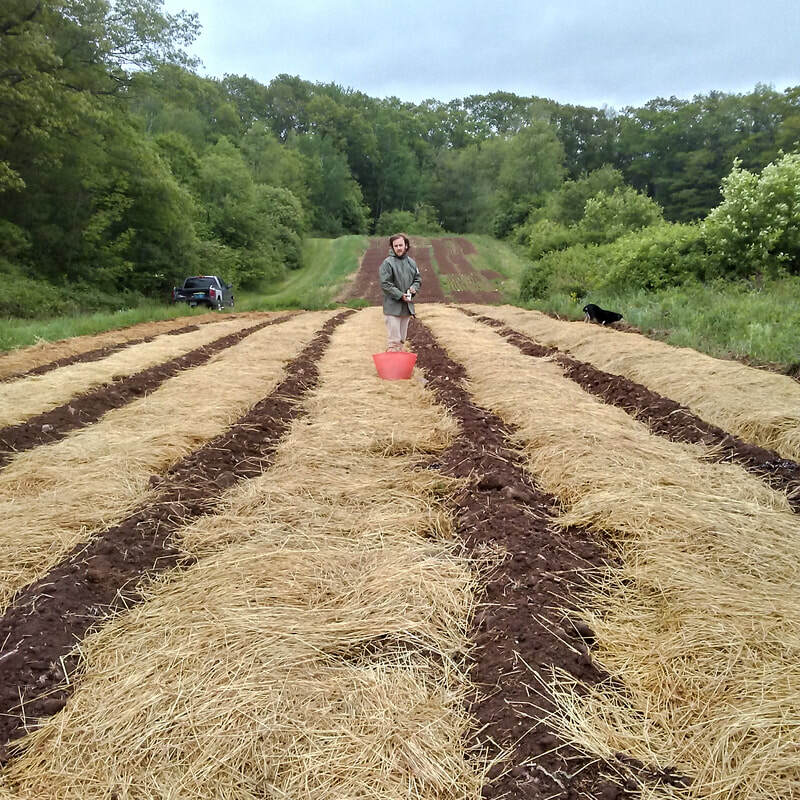 All carrots take awhile to germinate in the field (2 weeks) and from then have small tops for awhile while they grow the root underneath, this means they require a lot of attention early on to combat weeds from shading them out (as any farmer will tell you). However, they are definitely worth the attention because everybody loves them and they are so nice looking! Ashe County Pimento Sweet Pepper - a nice little heirloom pepper with great flavour hailing from the mountains of North Carolina. 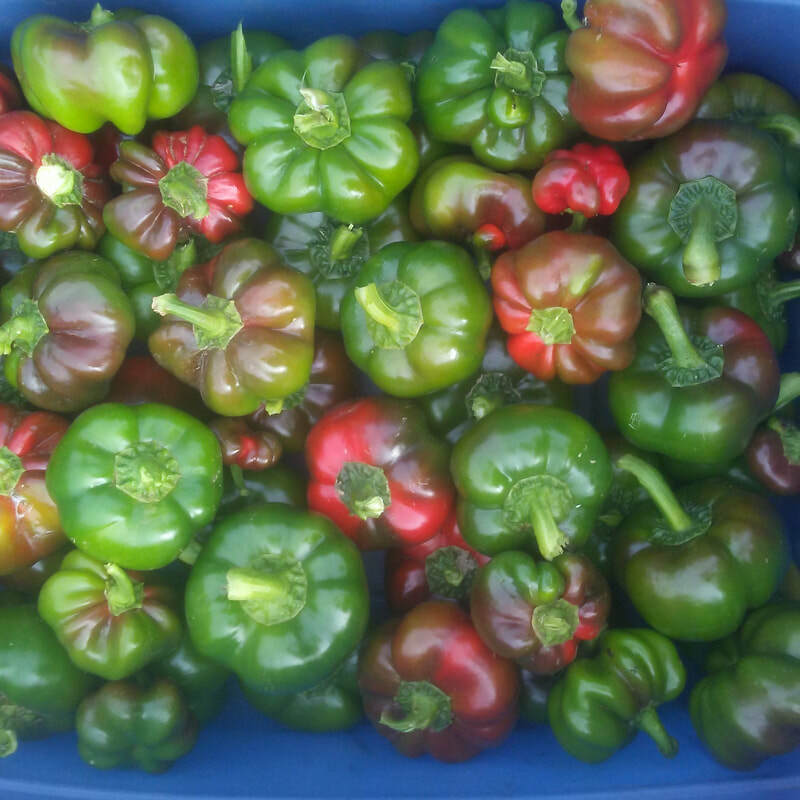 We have been looking for a bell pepper that does well in our garden for many years now, and it wasn't easy because peppers tend to like hotter and drier weather and that's not something we have an abundance of in Nova Scotia! Anyways, we tried out this little pepper and it did really well for us last year! It's like an average bell pepper but with a shorter stature a bit thicker flesh - very juicy, crunchy and sweet. 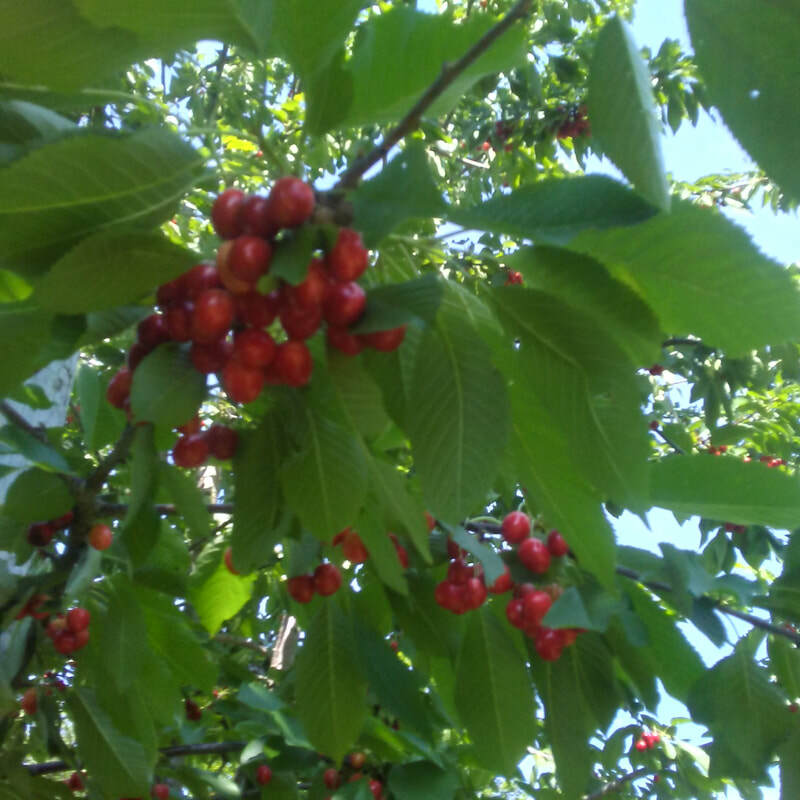 They start out green and mature to a beautiful bright red. We saved loads of seeds from them last year so we're hoping they'll become a regular in future summers. 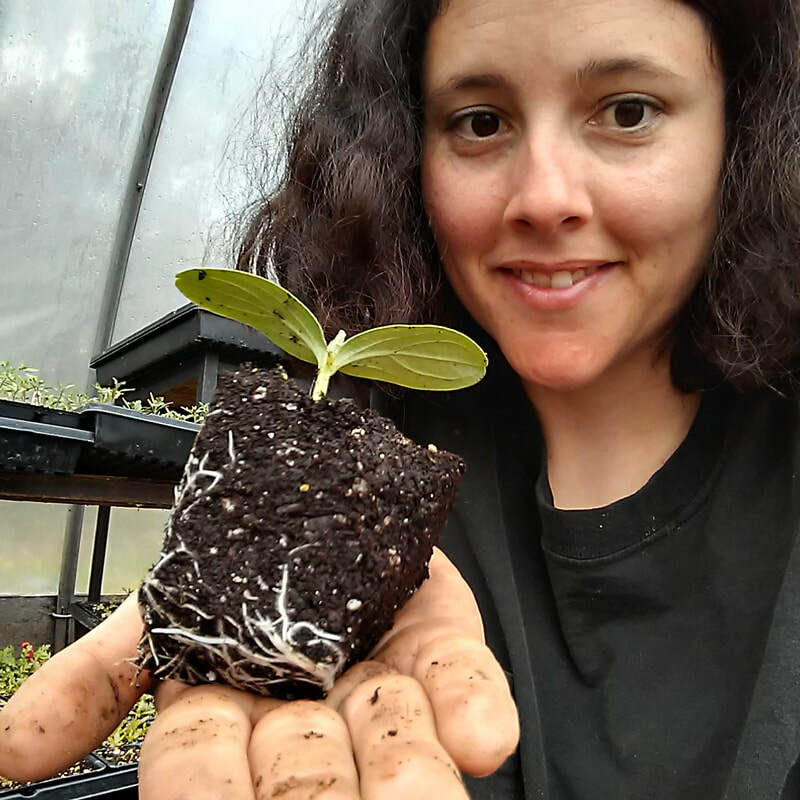 Here's another one of our squash breeding project, this one lasted 6 months in room-temperature storage and was eaten just as the first spring flowers were popping up! Still as tasty as ever, nice orange flesh perfect for soup. 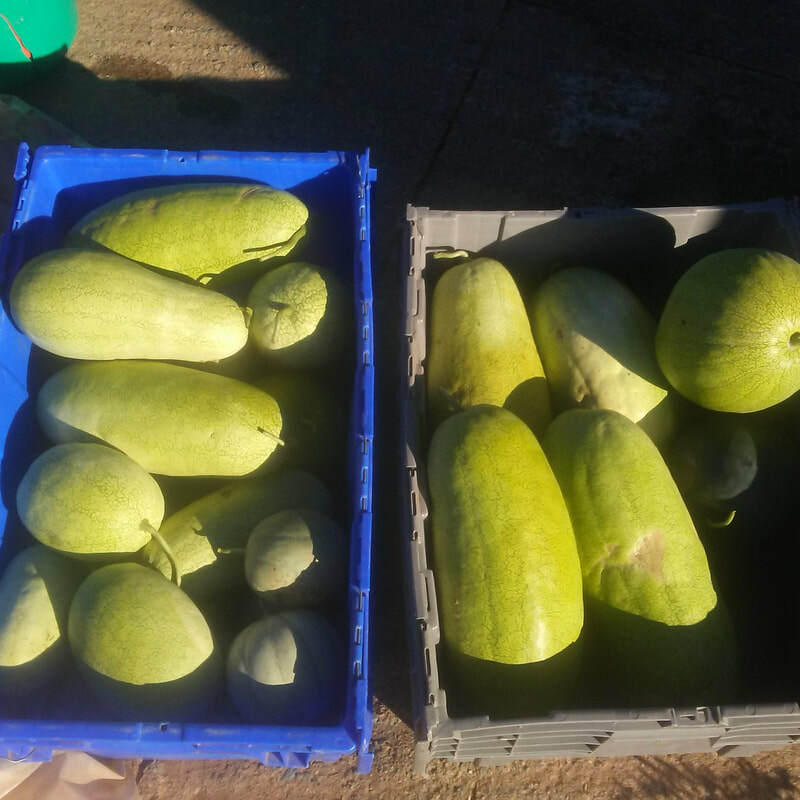 This type belongs to the species Cucurbita moschata which is the same as butternut squash. Nova Scotian Small Farmers: Ask Yourself Why, Not Who. 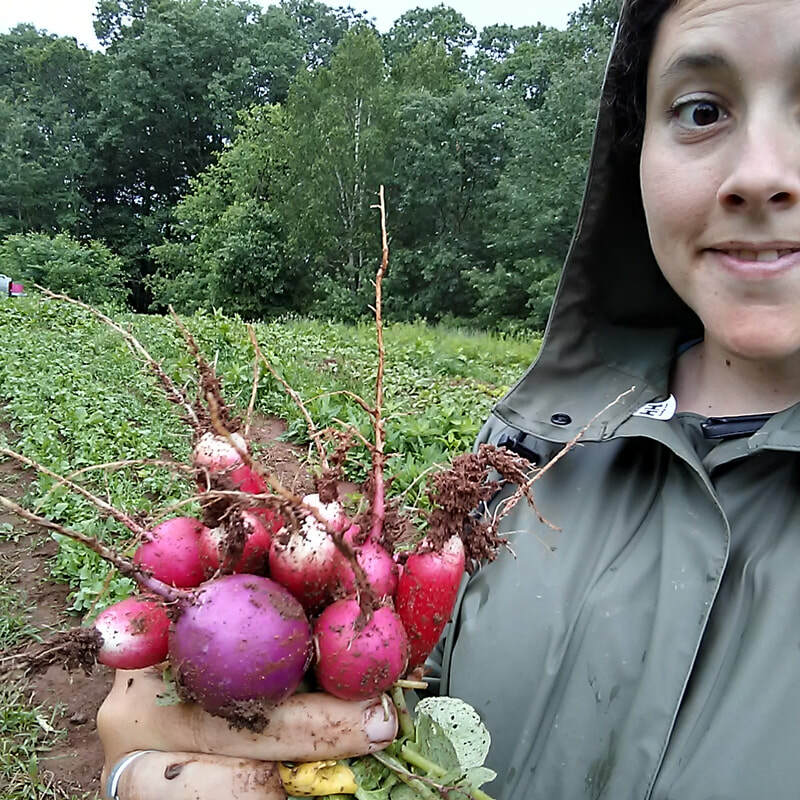 I have been taking a business development class alongside fellow farmers that has been put on by the Wolfville Farmers' Market with funding from Workplace Education. In this class we have been learning a wide selection of things all to help us fine tune different aspects of our business. 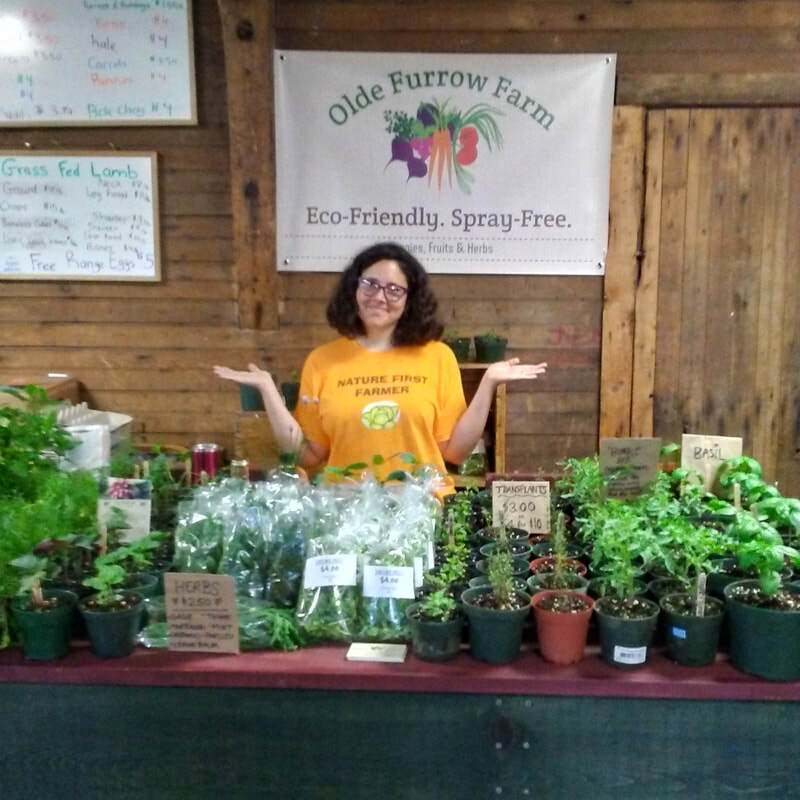 The final goal is to have an in depth business plan that we can use to obtain funding through the "Small Farm Acceleration" program as well as apply for any business loans we may need. The fact that we are taking this class alongside fellow farmers really enriches the experience and we often gain insights from one another that is just as valuable. Working together has really helped build my confidence too. It has made the farm business feel more real. 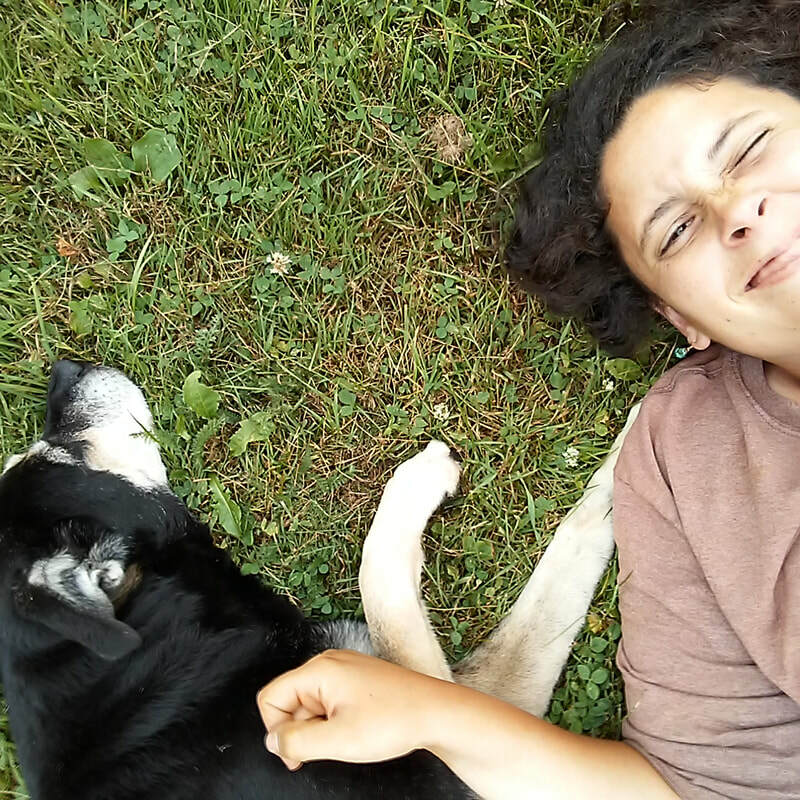 I know that is an odd thing to say/feel but there is this subsconscious tendency to feel negated because you are a small farm and I am not going to let myself do that anymore. Adam & I work way to hard to feel like it's for nothing. We grow valuable food! Recently in class I had said that "I plant about 50% more seed than I need for my CSA". Some people were surprised and some people were unsure. I then explained that because we don't spray or have a lot of row cover, irrigation, etc. that we can't take that risk because CSA members expect a crop (rightly so!). I also went on to say that our crop failure isn't 50% but some crops we harder than others. The conversation kind of ended there and I was left thinking about this more deeply. Was this the right thing to be doing? Am I just a crappy farmer? The list went on! So I decided I needed to go back and find out why I am doing this. I am doing this to ensure I have a wide variety of high quality crops for the CSA. I want to be able to harvest crops that were never sprayed. 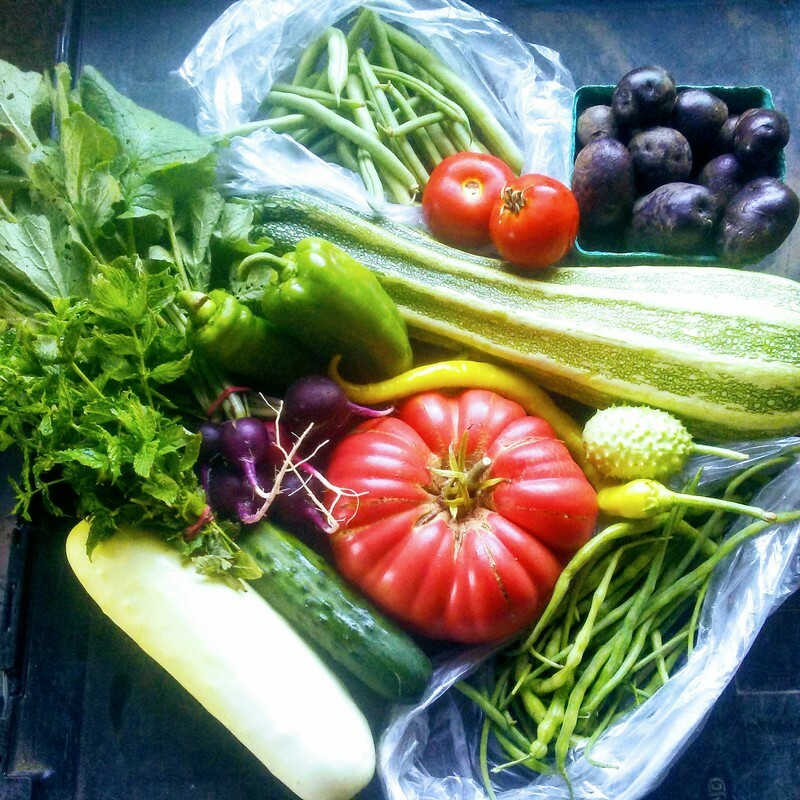 I want to be able to pick out the best of what we have for our CSA. I want to be able to surprise CSA members every week with something new. I want to be able to have a bumper crop of tomatoes and basil so I can say "thank you for supporting our farm!" As I started to answer the "why" I started to feel better about it. I started to realize it's about building something of value. 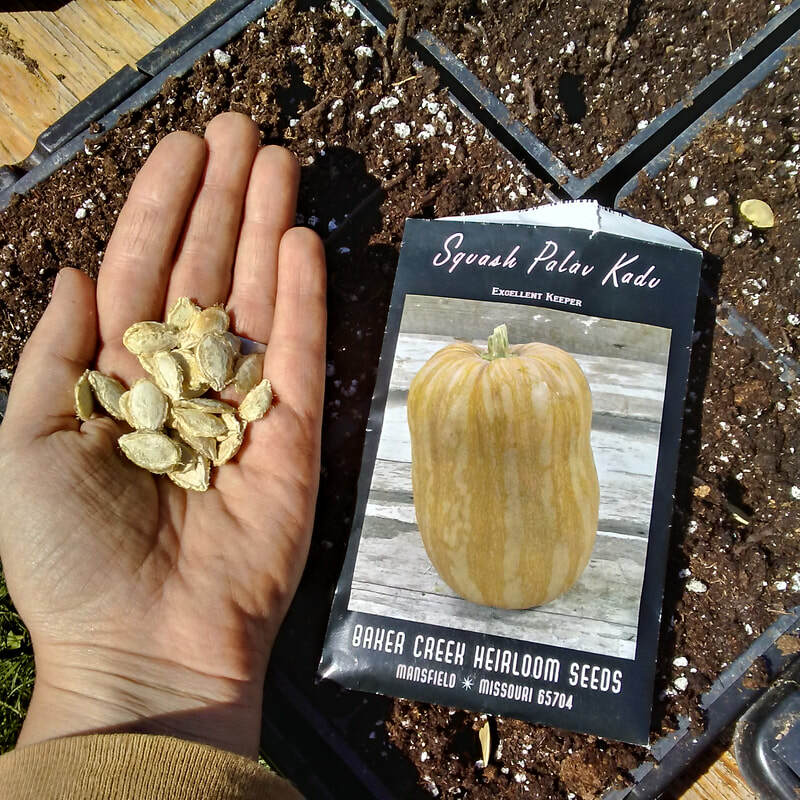 I have all the time in the world to get my 50% extra that I seed for our CSA to a lower number and indeed I am working on that. What I can't do is focus on the numbers because quality should come first! Numbers can be worked on slowly as I learn ways to improve our farm. 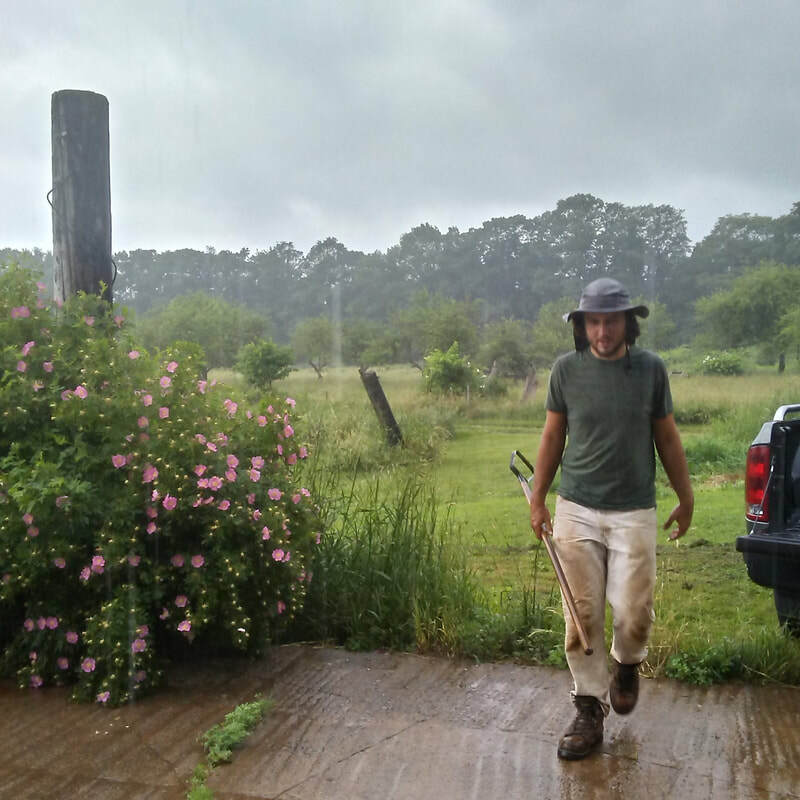 I think as small farms we often find ourselves in a panic but what Adam always reminds me of is "life is about the journey not the destination." So I say to all the small farmers out there. When you are in doubt or feeling lost just ask yourself why you are doing what you are doing? 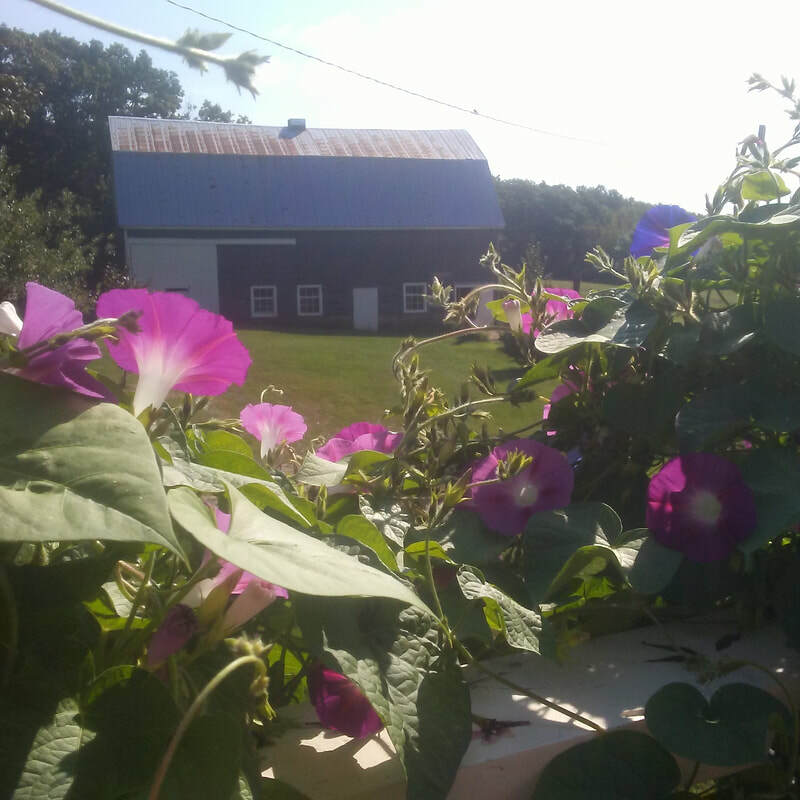 Don't get sucked into what other farms are doing because your farm is an extension of you and your values. There isn't a right way or wrong way even though it may feel that way. 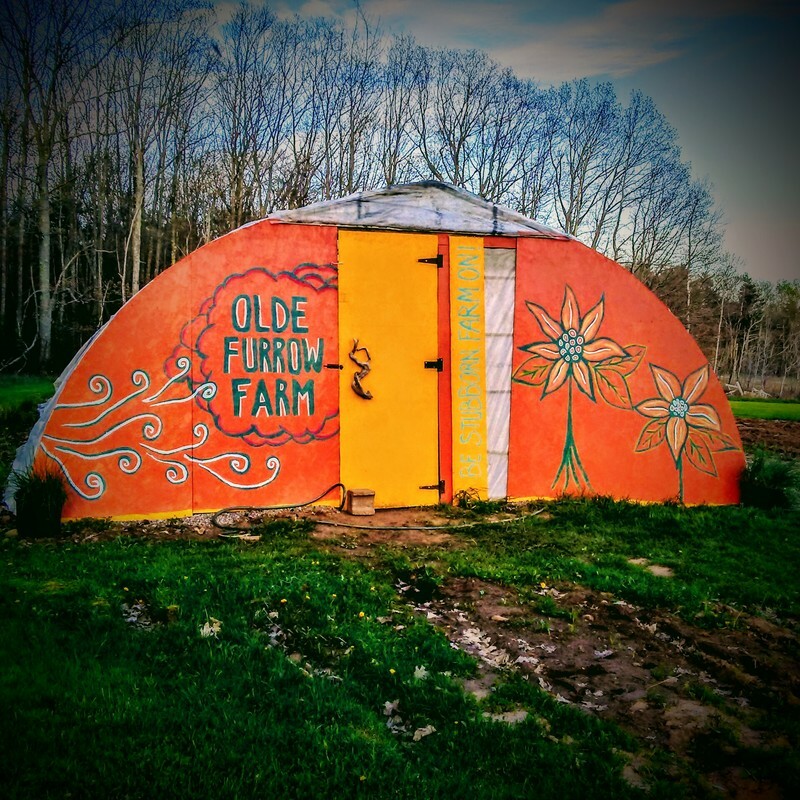 Who is Olde Furrow Farm? 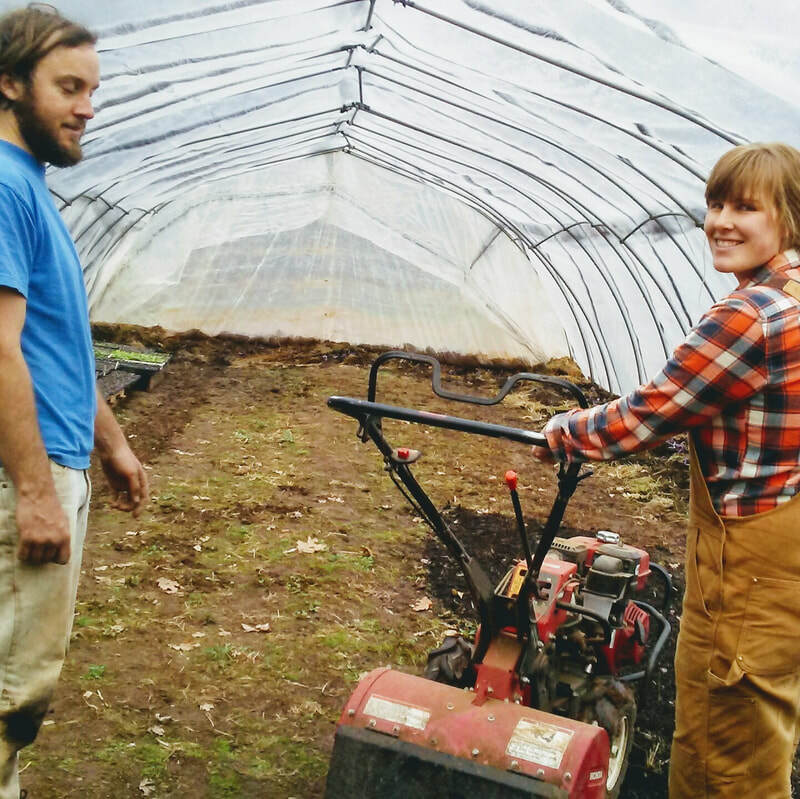 We are partners, Adam Webster & Courtney Madore and we farm 4 glorious acres on a +100 acre family farm in Port Williams, Nova Scotia. Our farming practices are stubbornly focused on the health of our land and all the livings things that are a part of it. 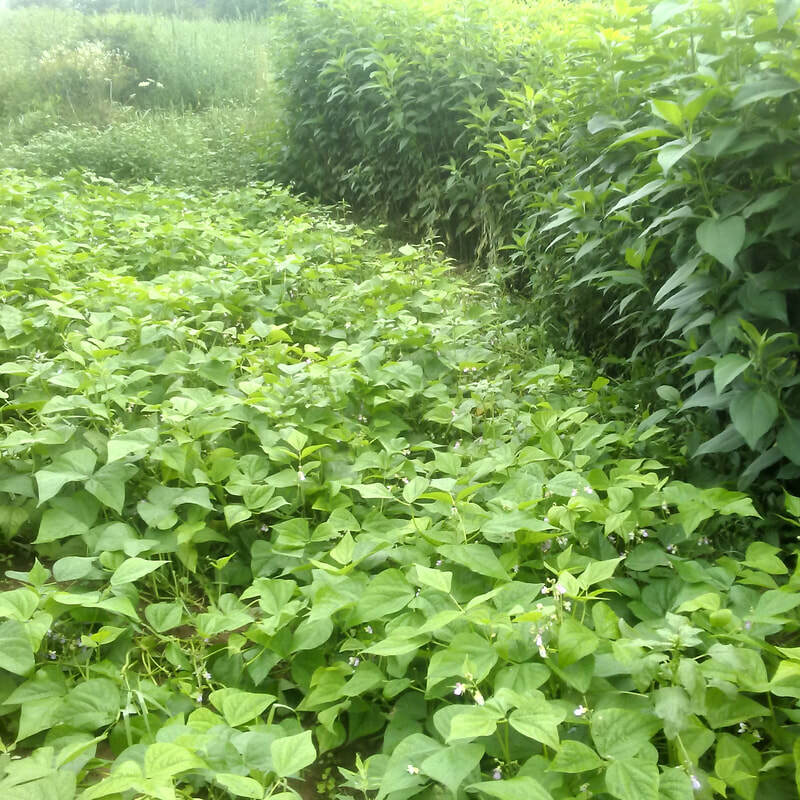 We feel that crop loss due to insects/diseases is a very small price to pay for the overall health of the planet and since we are a diverse, small scale farm, we can make this choice. We are extremely passionate about rare & heirloom varieties that offer rich colours and lots of flavor. We are always interested in the history of these vegetables because this is what brings them to life for us. They have a story to tell and we're going to share it. 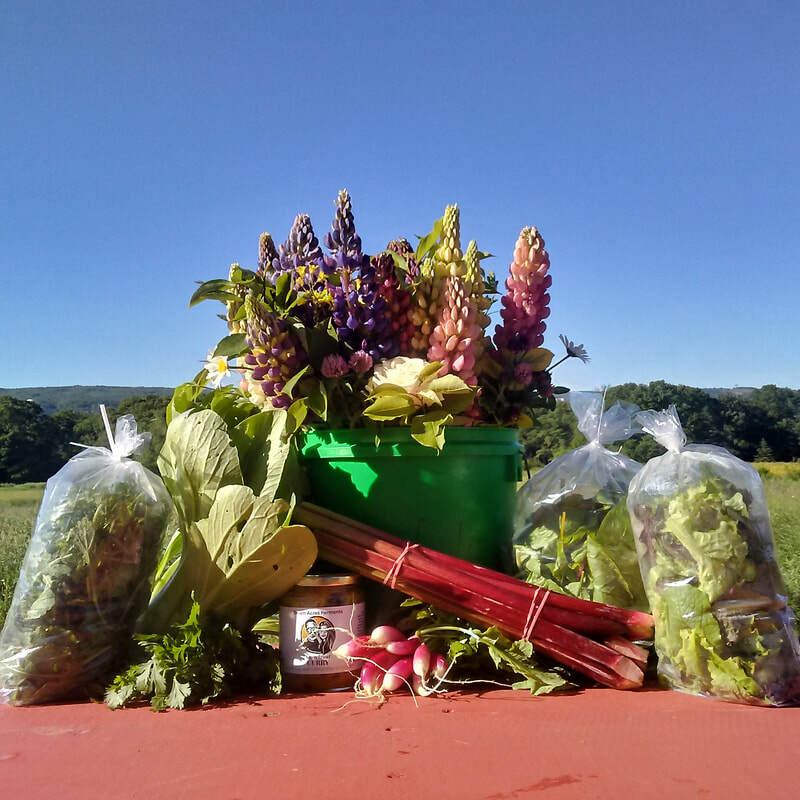 We share our harvest through a weekly CSA share that runs from July 10- November 20, through the Wolfville Farmers' Market every Saturday from May to December, and WFM2go online ordering every Wednesday through May to December. 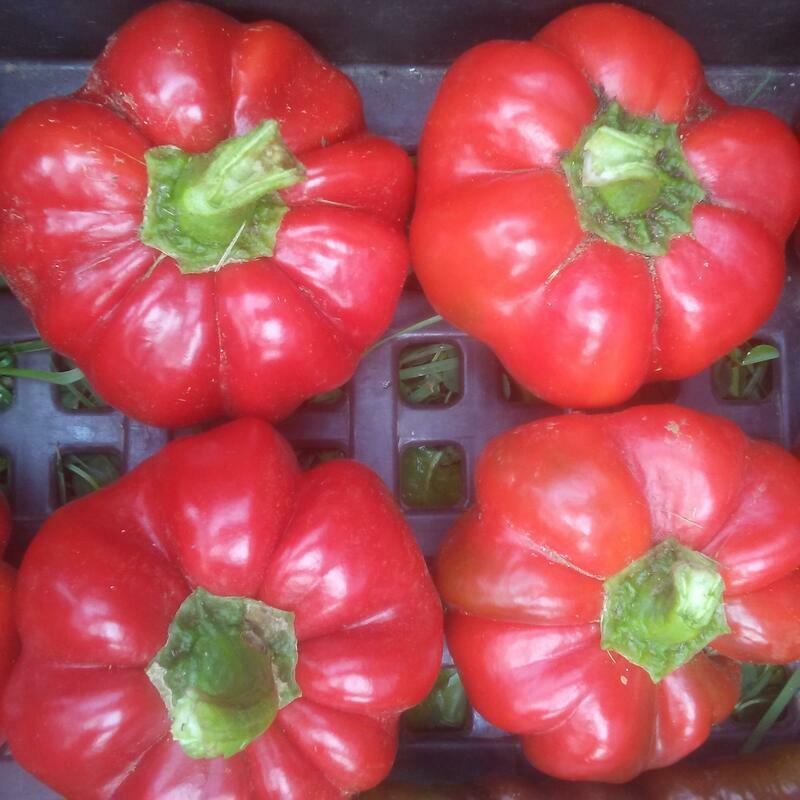 We really focus on vegetable varieties that offer rich flavors and vibrant colours. Vegetables that you can't just find anywhere but are common enough that people can easily use them. We want people to re-discover the carrot or zucchini by tasting the variation of flavors and colours they have to offer. We feel this is what will cultivate your connection with food. The bravely coloured tomatoes will translate into a courageous cook in the kitchen. Your curious children will gather around the supper table and together you will all have a feast! On this food journey we will share our inspired knowledge of food and farming so you are never alone as your learn new things. You come to our table when you are looking for something new to try. We enthusiastically guide you through what we have to offer and the best way to prepare it. We try and help you think of vegetables is a new way that isn't scary but fun! We offer honest conversations. 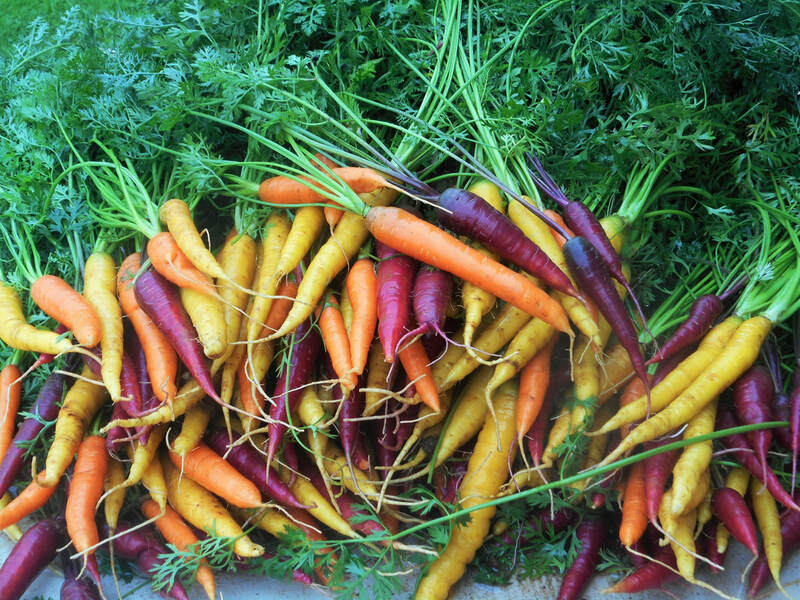 We want you to fall in love with heirloom vegetables. Wfm2Go is our newest addition, started in July 2017 by the Wolfville Farmers' Market. Essentially it is an online version of the market where you order by every Monday @ 7pm and receive your freshly picked/made local good at hub closest to you every Wednesday. This is very much a collective venture made by many small businesses here in the valley. We grow and we learn together. 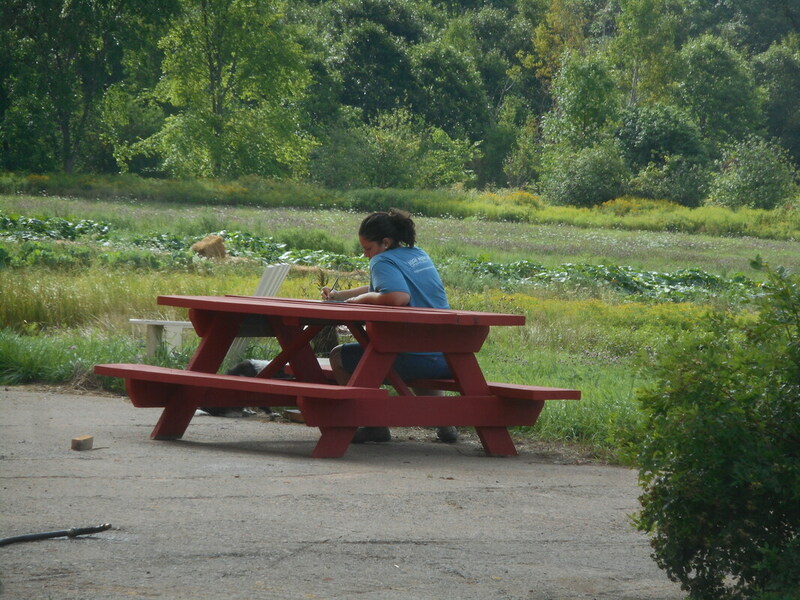 Our farm offers many of the same heirlooms that we do at market and try to expand our offerings on WFM2go every year. Our aim - more variety! 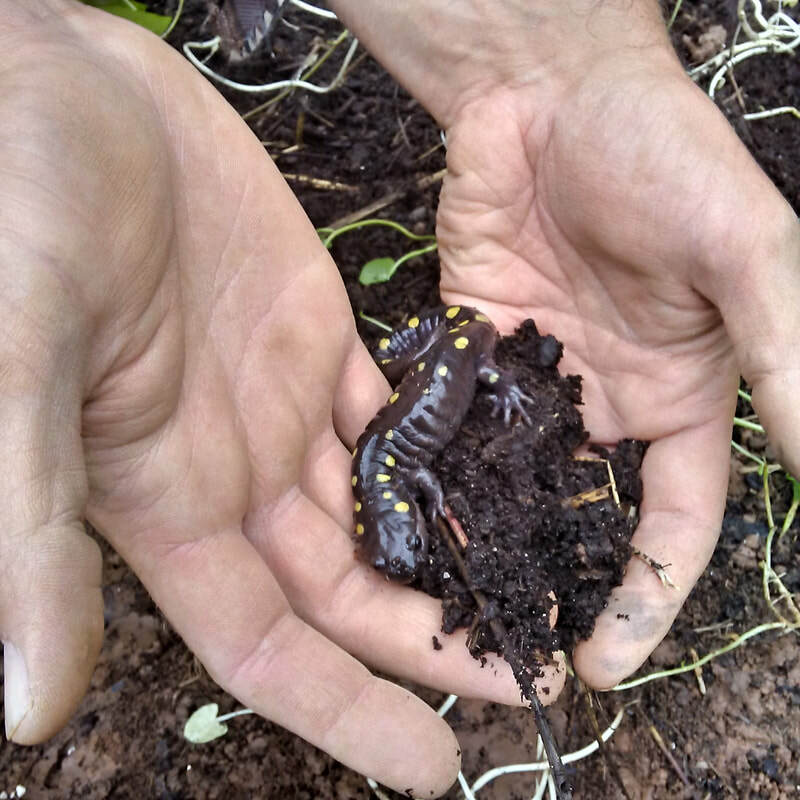 ​Here's one of our breeding projects on the farm. 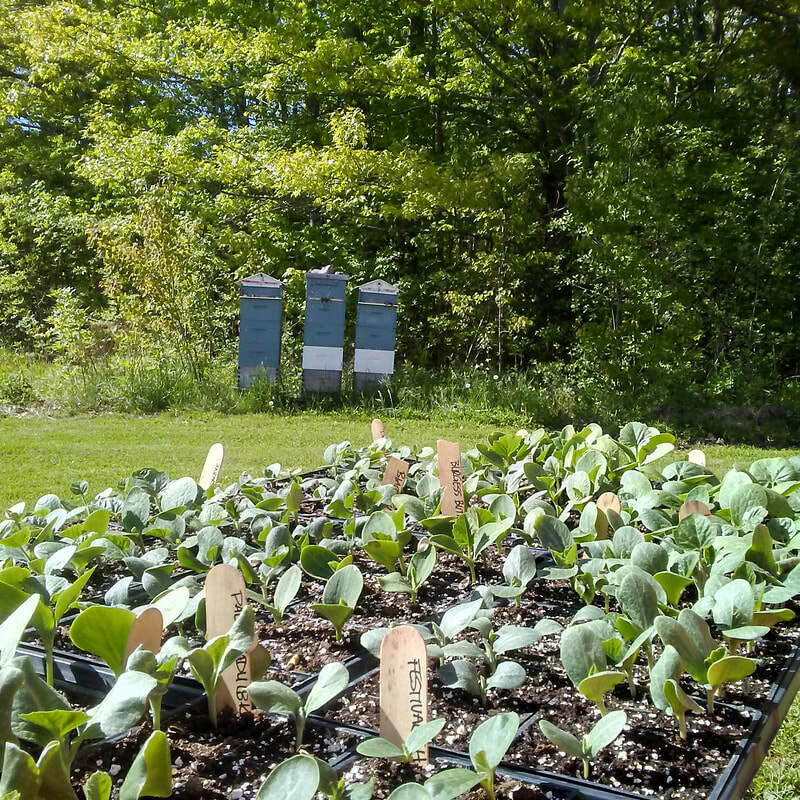 We allow different varieties of squash to cross-pollinate and then save the seeds each year. 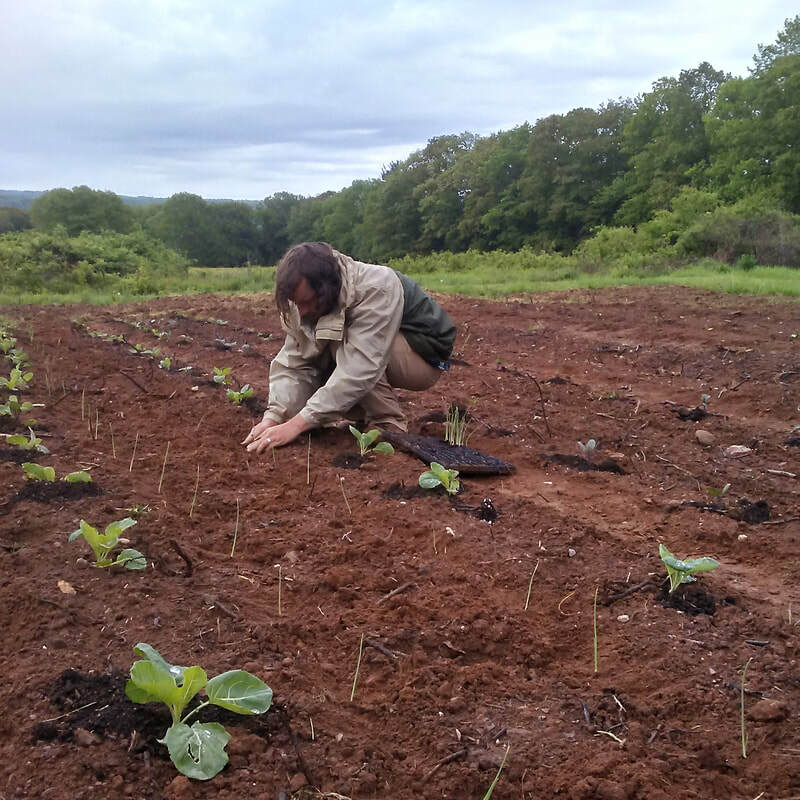 The goal of this is to end up with a squash that is perfectly adapted to growing in the Annapolis Valley and has excellent flavour, is a vigourous grower and will store for a long time through the winter. Saving seeds has become more and more of a fascination for us each year once we learned how easy it is! 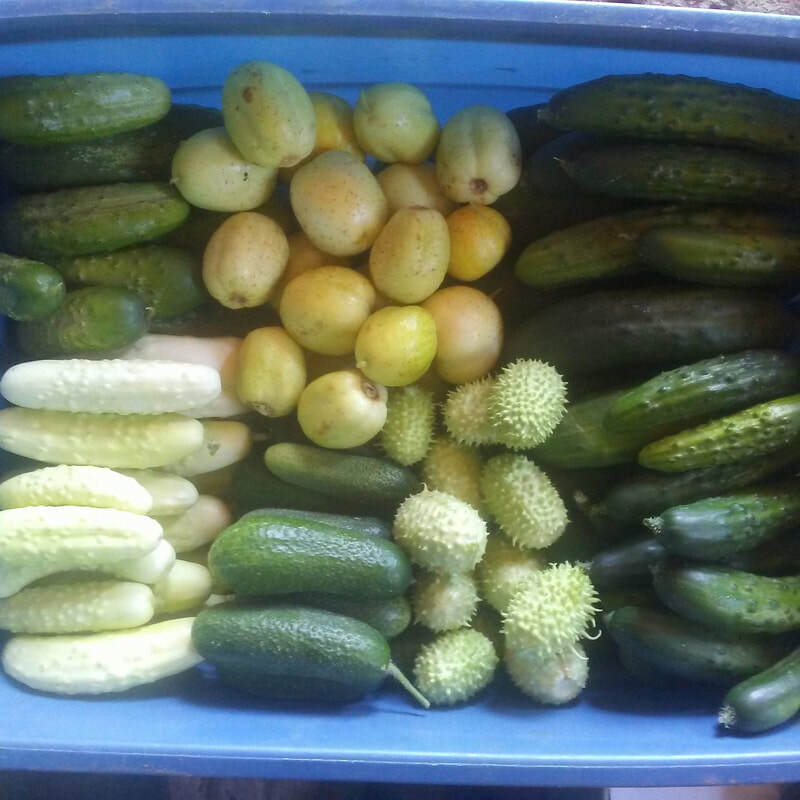 Many vegetable seeds can be saved simply by removing them from the mature fruit and placing them in a container of water overnight, the viable seeds will sink to the bottom and the duds and other matter will float to the surface which can then be poured off. The remaining seeds can be placed on a cloth or paper towel next to a window to dry, then when they are fully dry place them in a bag for planting next year! If you are still unsure if the seeds are viable, take a few of them and place them in a ziploc bag with a wet paper towel and just wait to see if they sprout! Seed-saving and the breeding of new varieties is how all the types of vegetables we now enjoy have come to be. Through all the hard work of the countless generations before us we now get to enjoy such a diversity of delicious food. For example, the corn that we now have was bred from a grain called Teosinte in what is now Mexico, and watermelon was bred from a bitter fruit with hard green flesh in the Kalahari. It's such an amazing thing to think about how much we benefit from our ancestors hard work, and it's definitely an honour to continue to work with what is literally their artwork that sustains and nourishes us. 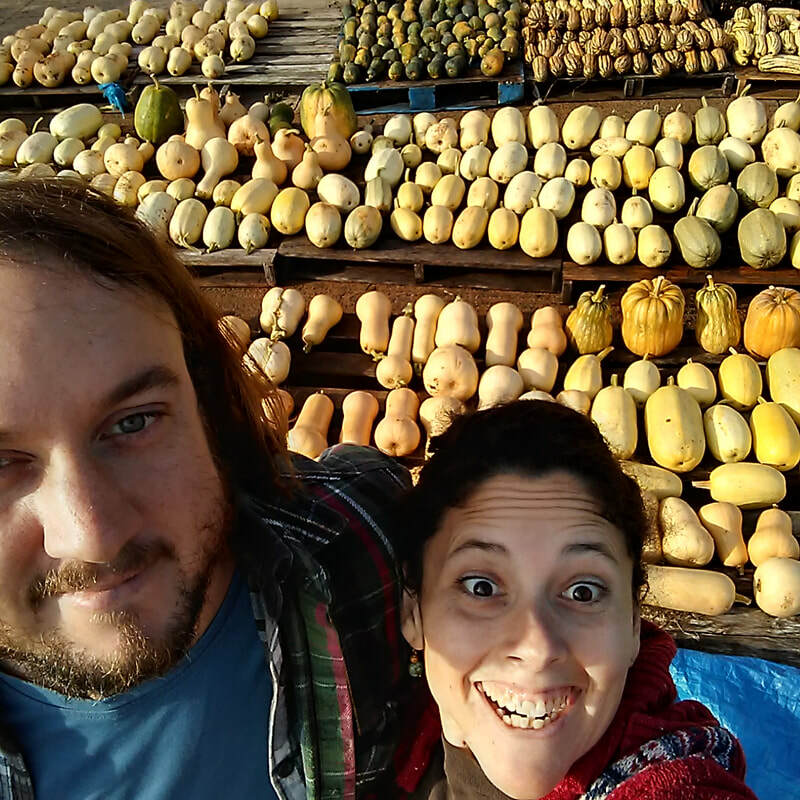 This is not just a squash, it's our history in edible form! 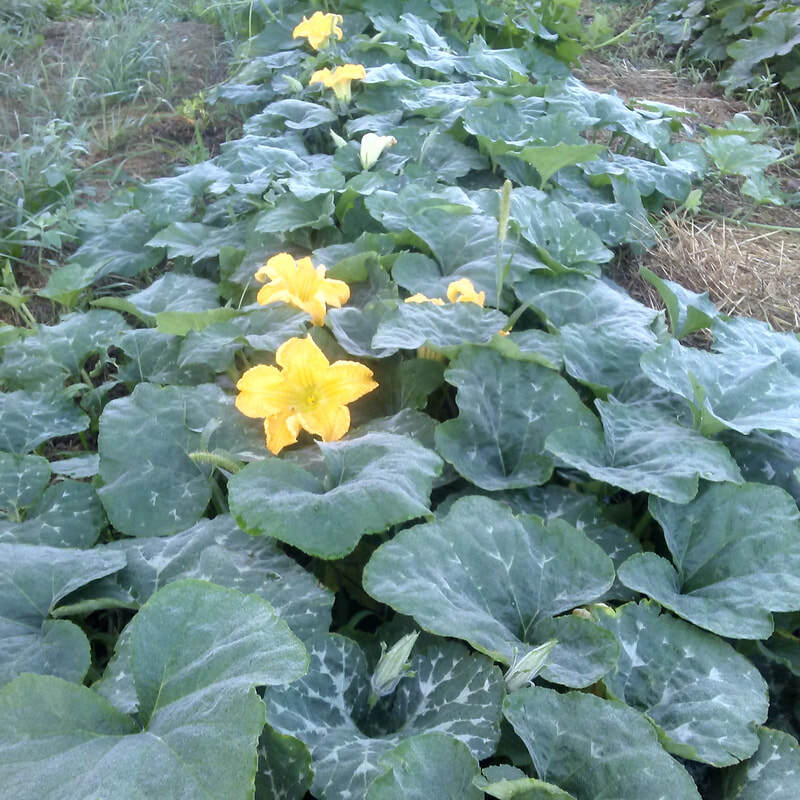 ​Here is a variety of cucumber that our CSA members and market goers will be very familiar with- Silver Slicer Cucumber! 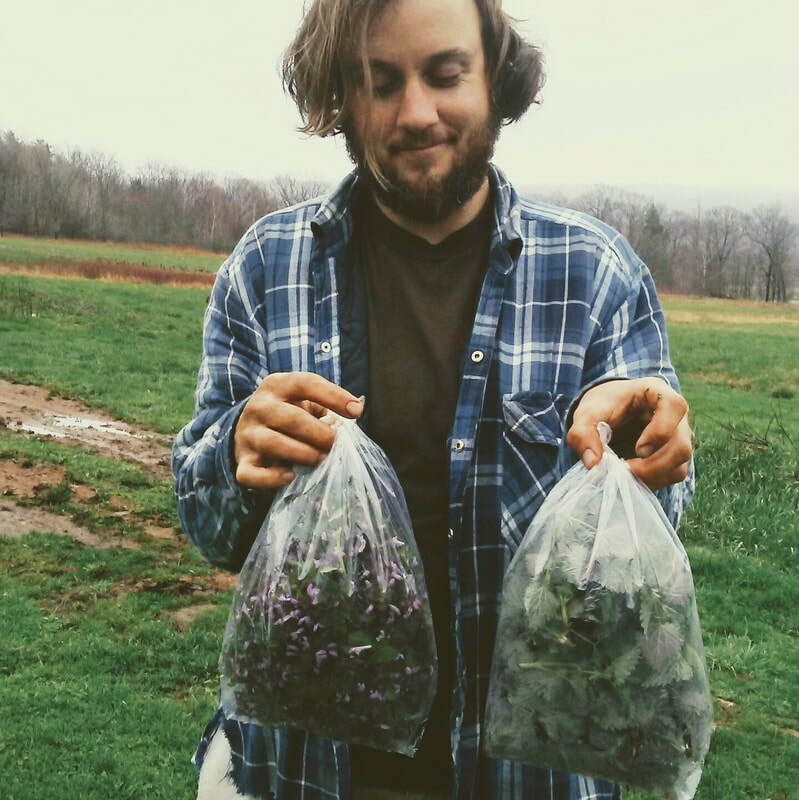 We've been growing this type almost since we began Olde Furrow Farm and it has consistently been a favorite of ours and many, many people that try it! 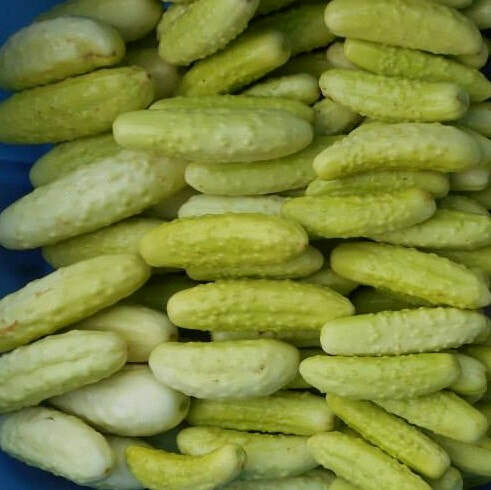 It's sweet, juicy and perfectly crunchy with not a hint of the bitterness that green cucumbers can sometimes get- you can eat it skin and all. We like to pick them a little smaller because they tend to be even sweeter and crunchier at that size. Even looking at the pictures makes me think of the heat of the middle of summer and the refreshing bite of one freshly pulled off the vine (which happens quite often while they're being weeded). 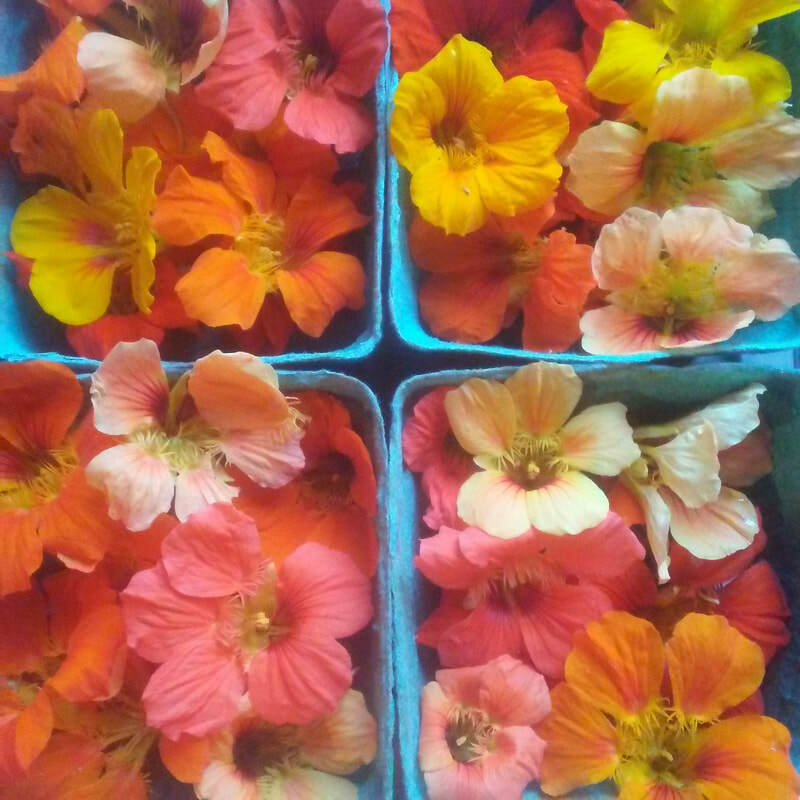 ​These are our beautiful and tasty Nasturtiums! We've saved seeds from them for several years now, picking out our favourite colours and letting them freely mix. The original seeds already produced beautiful flowers but over the years we've seen more pastel and bi-colour ones pop up which is always exciting! 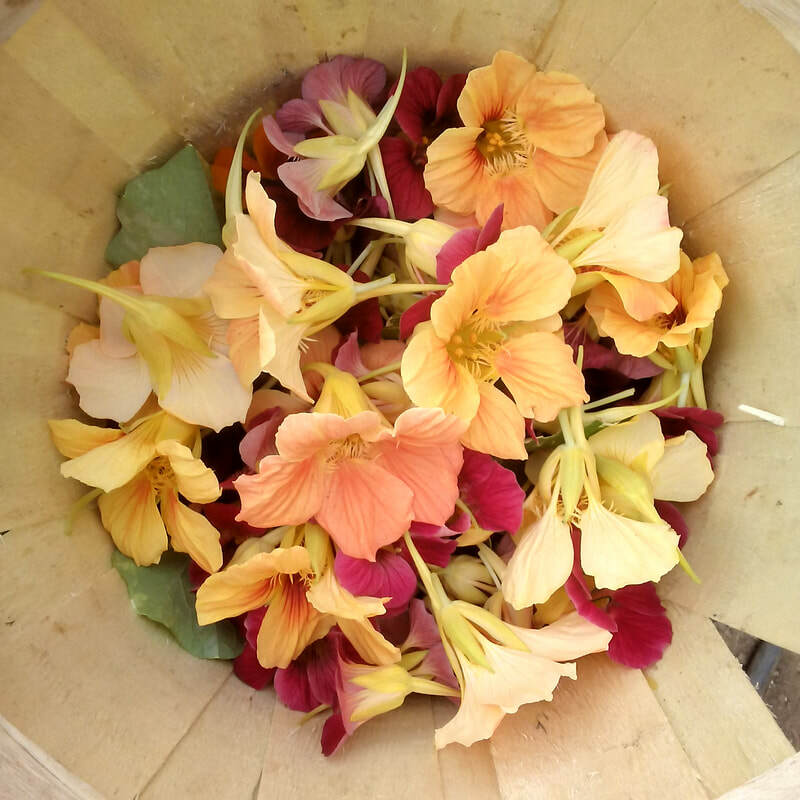 Nasturtium flowers are edible and have a nice spicy flavour, and the leaves do as well. They go great on top of salads. 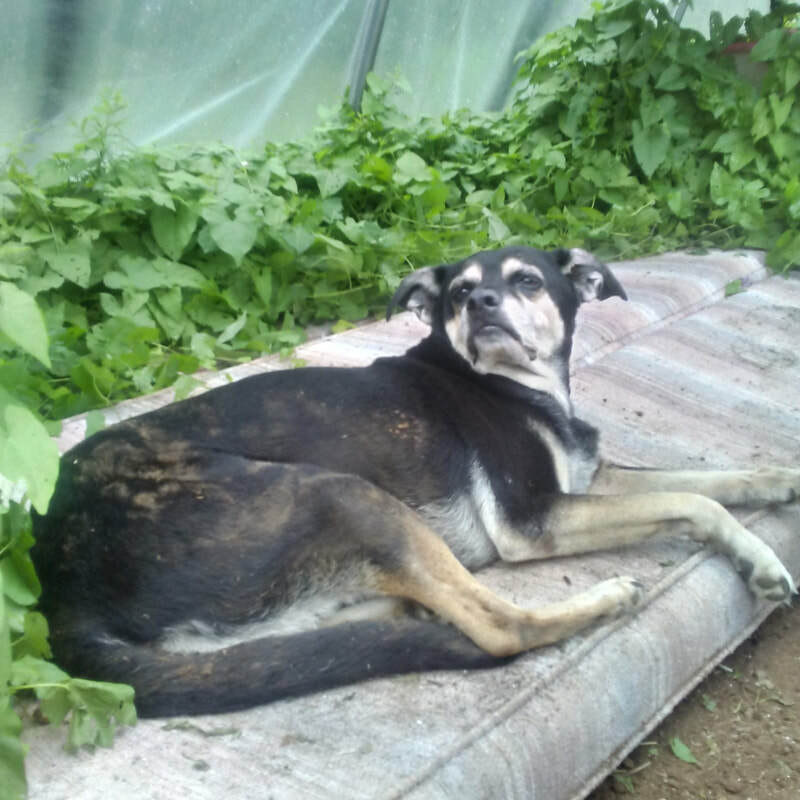 The plants are really easy to grow and can get quite large in optimal conditions, and when planted next to many other vegetables they are a pest deterrent. Bees love them! ​Ali Baba Watermelon - A delicious heirloom watermelon from Iraq. 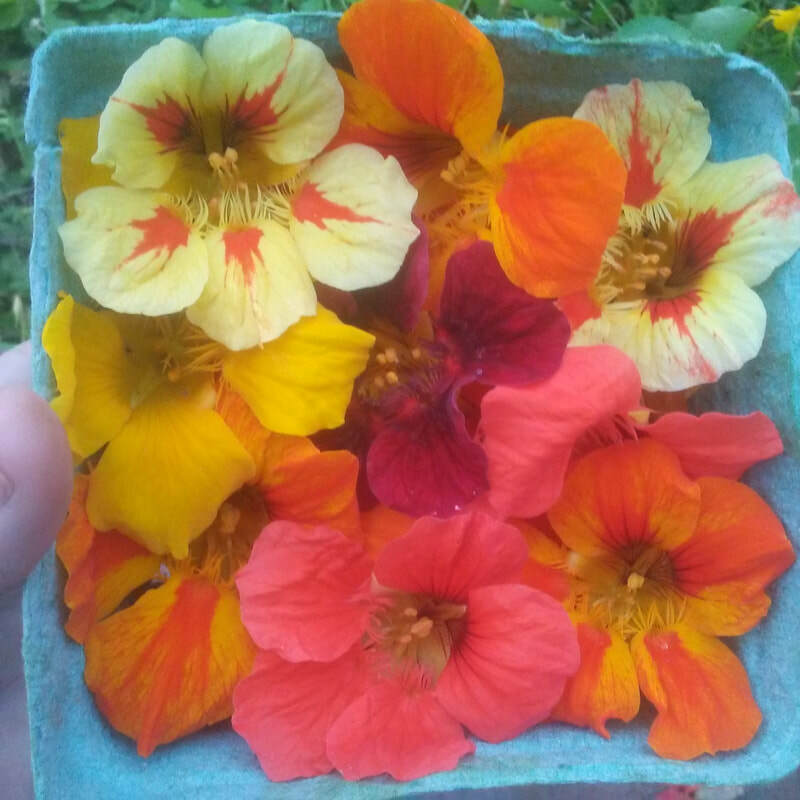 We grew these for the first time last year and we LOVE them. They have the best flavour out of any watermelon we've tasted or grown, and they get HUGE (30-40 lbs were some of the biggest)! In these pictures you can see them filling up our large harvest container and you can see me (Adam) cutting up one of the "small" ones. 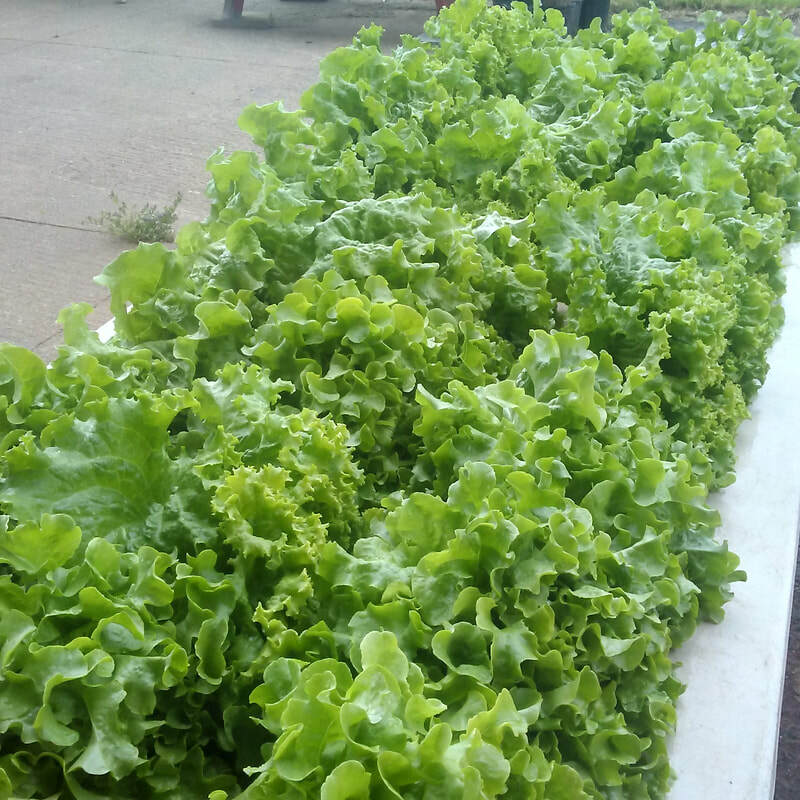 They are also shaped oblong which makes them easy to cut into chunks for the CSA shares. 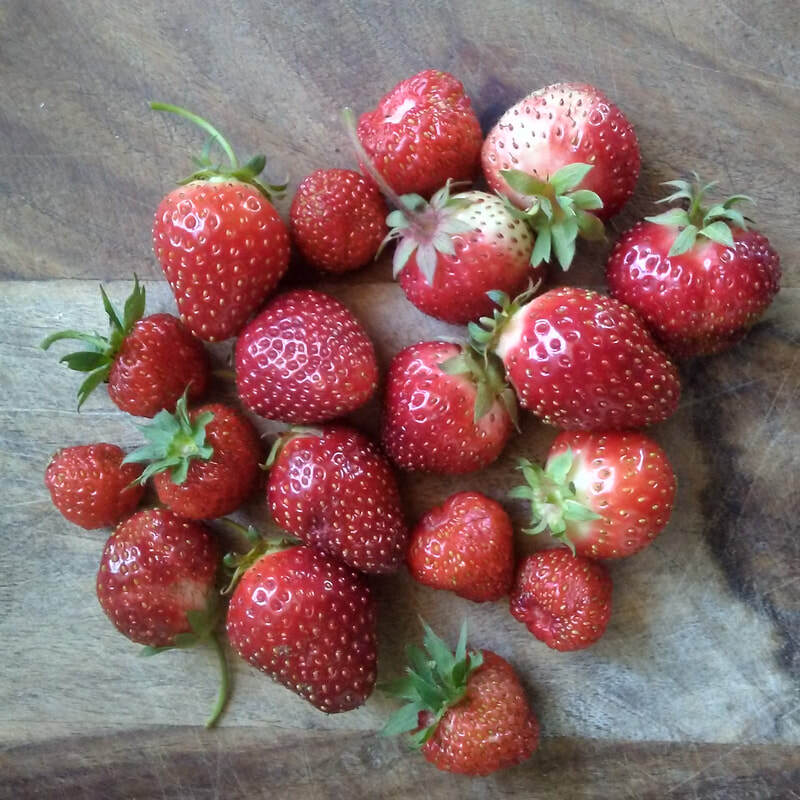 It's true that we had to harvest them a little early this past year because of an imminent frost (so they didn't achieve their full colour on the inside) but even then they tasted amazing. They are certainly high on the priority list for the upcoming growing season! It's surprising that a watermelon from such a hot country like Iraq would do so well in cool and wet Nova Scotia, but once you take into account this is an heirloom that has been grown for thousands of years by different people in different weather, shared across different lands and different growing conditions it's a little less surprising that it did well. That's why heirlooms are so important! (and new varieties bred from heirlooms). They have stood the test of time for surviving and flavour. Compare this with "commercial" varieties of vegetables which you get in the grocery stores, they are inbred over many, many generations to get the uniform shape that they think customers want, and they select more for storability and their ability to stand up to shipping then for flavour and nutrition, because if it lasts longer on the shelf it's more likely to be bought and that's more money in their pockets! Commercial varieties also are overwhelmingly sprayed by pesticides and herbicides over years and years, so each generation is less able to survive in natural growing conditions. Heirlooms are important because all those adaptable genetics haven't been bred out of them, and with the unpredictability of future weather due to climate change we are going to need these strong, resilient and nutritious varieties of vegetables. We are so thankful for all the people that are keeping the good old vegetables alive both by growing them and by buying them! (You vote with your wallet after all) - nobody would have access to these delicious foods otherwise. 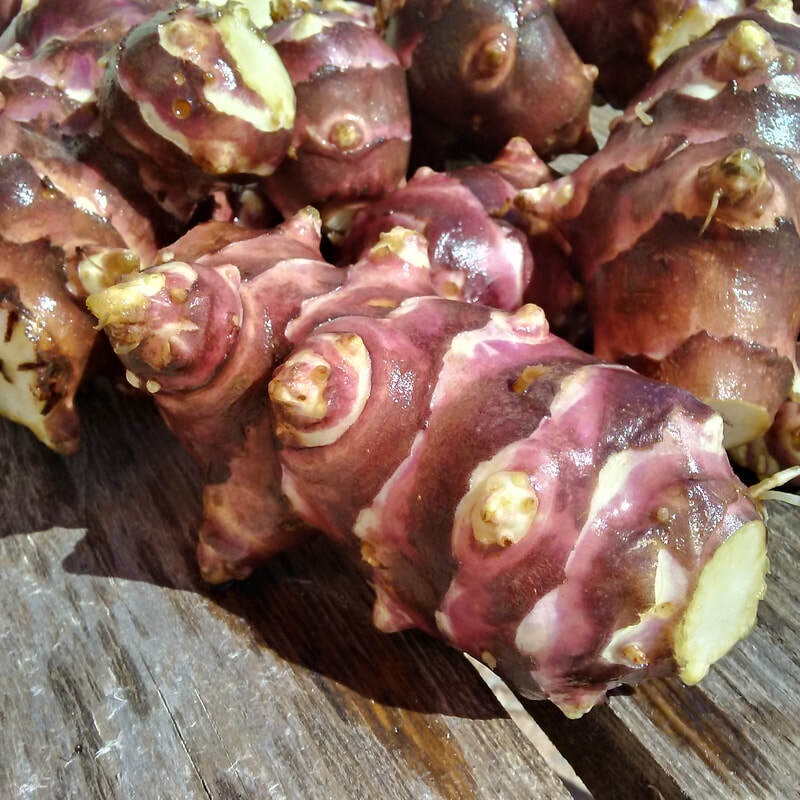 ​Passamaquoddy Sunchokes! 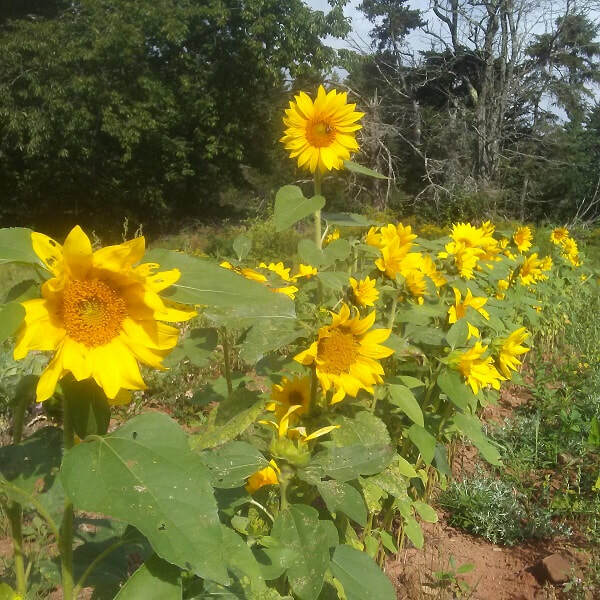 They are a pretty amazing vegetable to grow since you harvest them like a potato and they grow like a sunflower! (over 6 feet tall) They are also super productive- you easily get 1lb per plant. They are great food for the bees since they bloom so late in the season, around the end of September, when most other flowers are done. 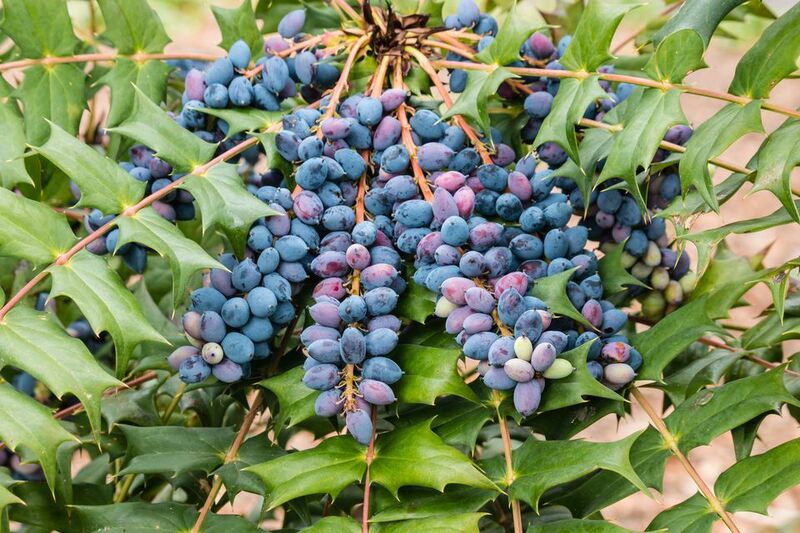 They will certainly play a large role in the future as an incredibly important food source (as they have since time immemorial for Native Americans) since they are pretty tough to kill and provide plentiful food year after year even in adverse conditions. They are very nutritious, more so than potatoes, containing more much more iron as well as inulin- a carbohydrate that doesn't metabolize in the body- meaning it's completely safe for diabetics to eat! We've found that not everybody likes these guys, and that's understandable because they have a very noticeable flavour (as opposed to something like carrots or potatoes). We've determined that the flavour is similar to the one you get with sunflower seeds, but others have said they taste like artichokes. Another reason some don't like them is because they give some people gas, but over time we've found that really cooking them down more than you would a potato is the tastiest way to have them, as well it reduces the chance of gas. 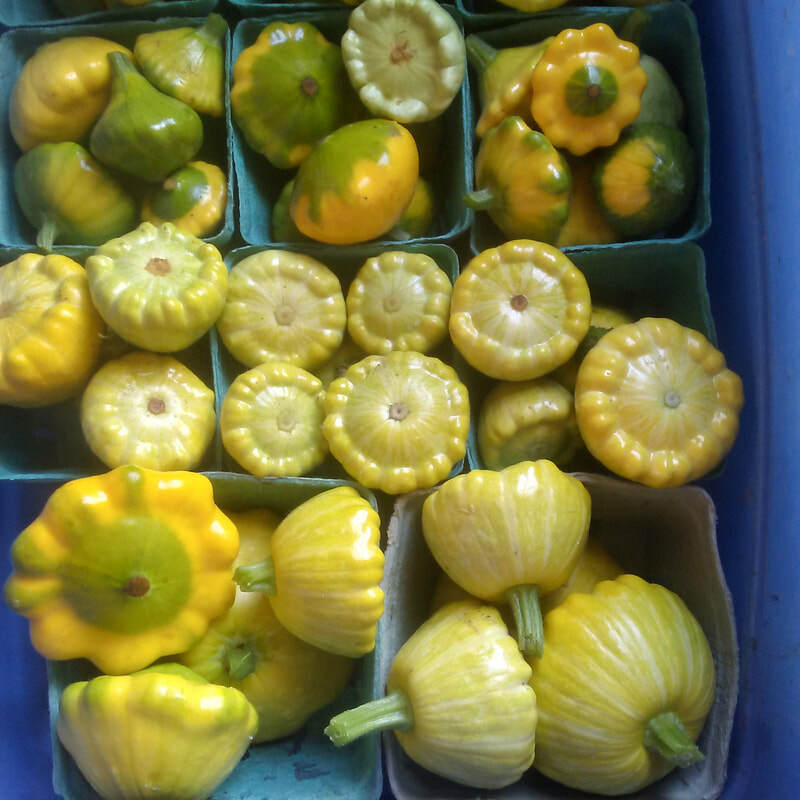 If you are part of our CSA this year just let us know if you don't like them and we will substitute for something else! 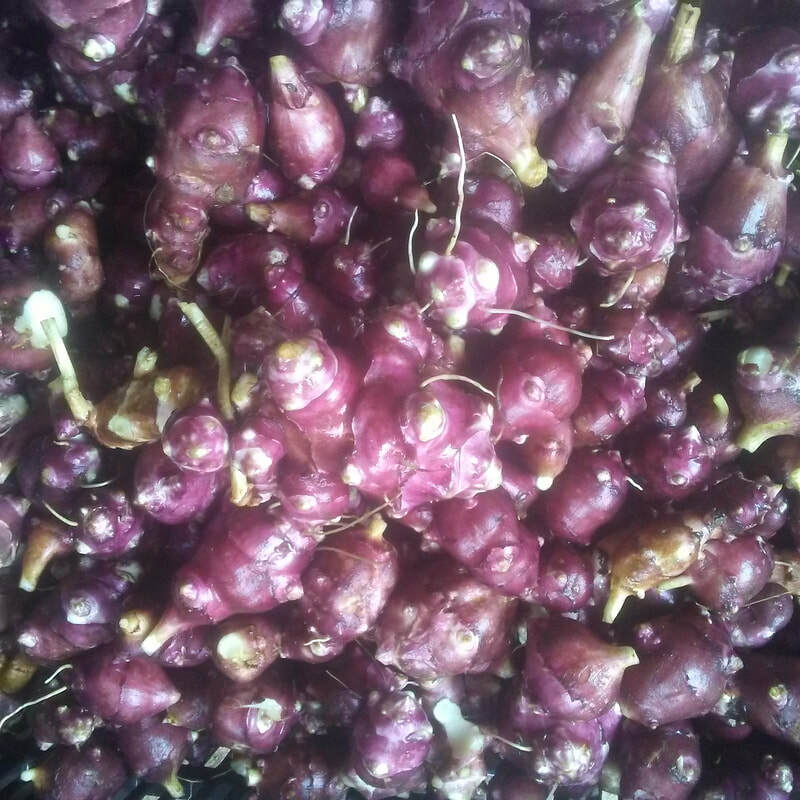 On the other hand, if you really like them, and have a patch of garden soil you are not using, you could take one and bury it about an inch or 2 down and you will have sunchokes until the end of your days! 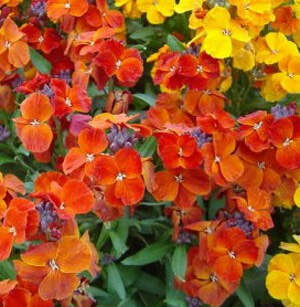 You can plant them pretty much any time the soil is unfrozen (before August if you want a decent harvest). 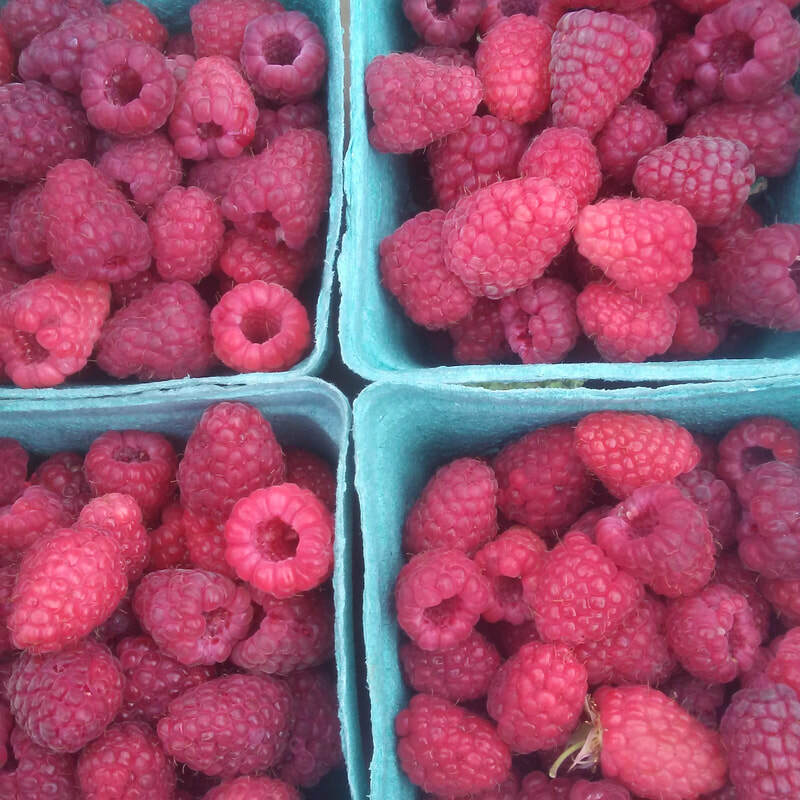 They will even last in the frozen ground over the winter, getting sweeter tasting by the spring- that's where most of ours are right now- just waiting to be harvested for market goers in May. This specific variety was made available to the public through Hope Seeds and we find it to be the tastiest and best looking of the kinds we've tried. 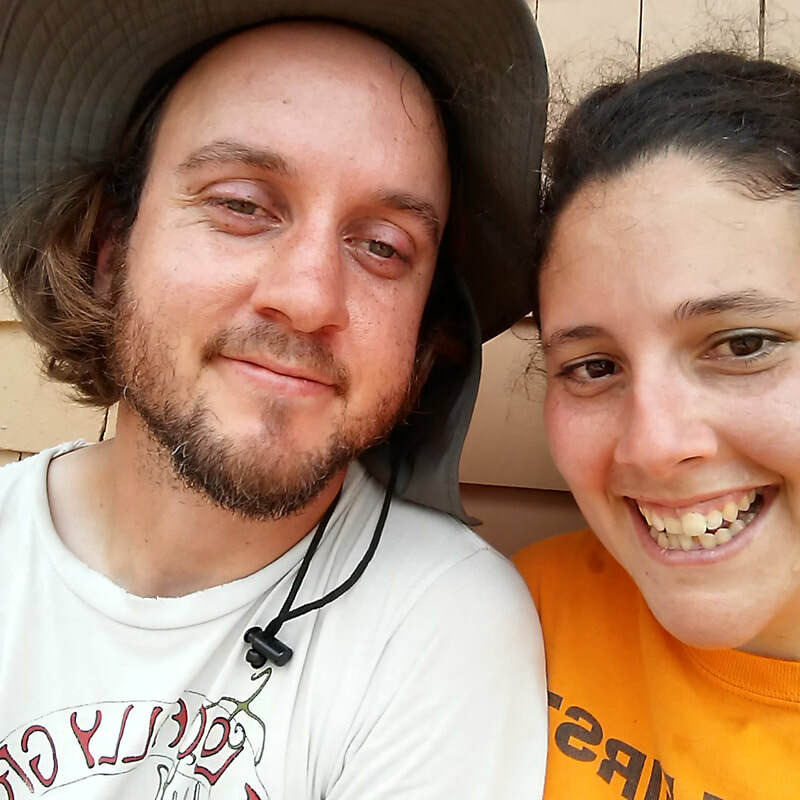 They are originally from Grand Manan Island, New Brunswick. ​Brandywine Tomato - one of the best tasting tomatoes ever, in fact it might just be the perfect tomato. Anyone who's tried these before can attest, there's regular tomato flavour and then there's Brandywine, it on a whole other level. 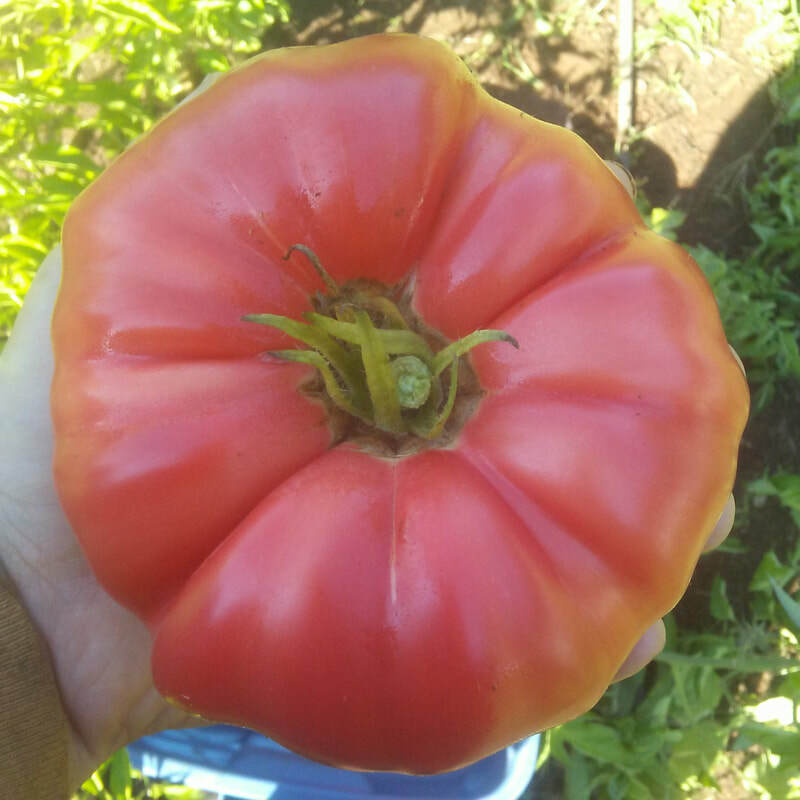 It's fruitier, juicier and more tender than a lot of tomatoes and it gets huge, 1lb or more, perfect slices for sandwiches with mozzarella and basil. 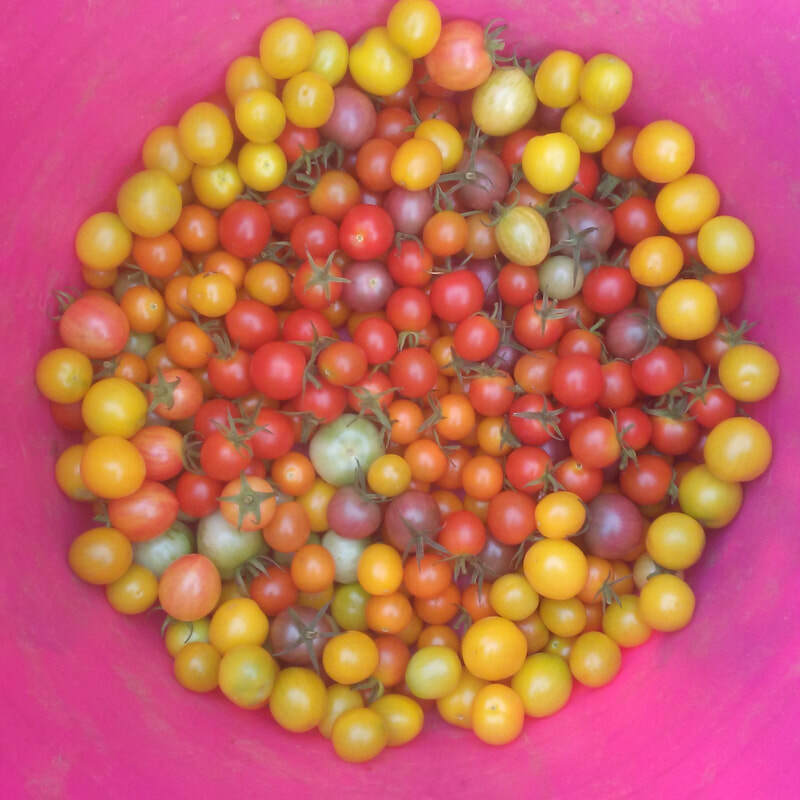 Brandywine tomatoes are said to be the single most popular heirloom vegetable, and they also contributed greatly to the recent growing interest in heirlooms. They are not the most carefree tomatoes to grow however- they need to be started early because they are a late-season tomato, they tend to get a bad spot if they are touching moist soil, their skin splits if they get alot of rain at once, and we've found the pheasants on the farm really like to take little test-bites out of them! However, even with all those drawbacks, the flavour is still worth it. We actually had our best Brandywine year ever in 2018! While other vegetables had trouble in the hot and dry weather these guys thrived. We've saved seeds for these basically since we started farming, they are always a top priority to save for sure. The best way to store tomatoes for flavour is to keep them outside of the fridge, yes they won't last as long but you will get the full fresh-off-the-vine flavour much longer. Grocery store tomatoes are harvested when still green and then ripened artificially by ethylene gas to turn them red. They do this because it allows them to be shipped farther and store longer, because they stay harder-skinned like an unripe tomato - this decreases the flavour and nutrition of tomatoes. That's why when you pick up a tomato at the Farmers Market they have more "give" to their skin, it means they are ripened naturally on the plant! It's a good thing! How Teaming Up With Local is The Way To Grow! 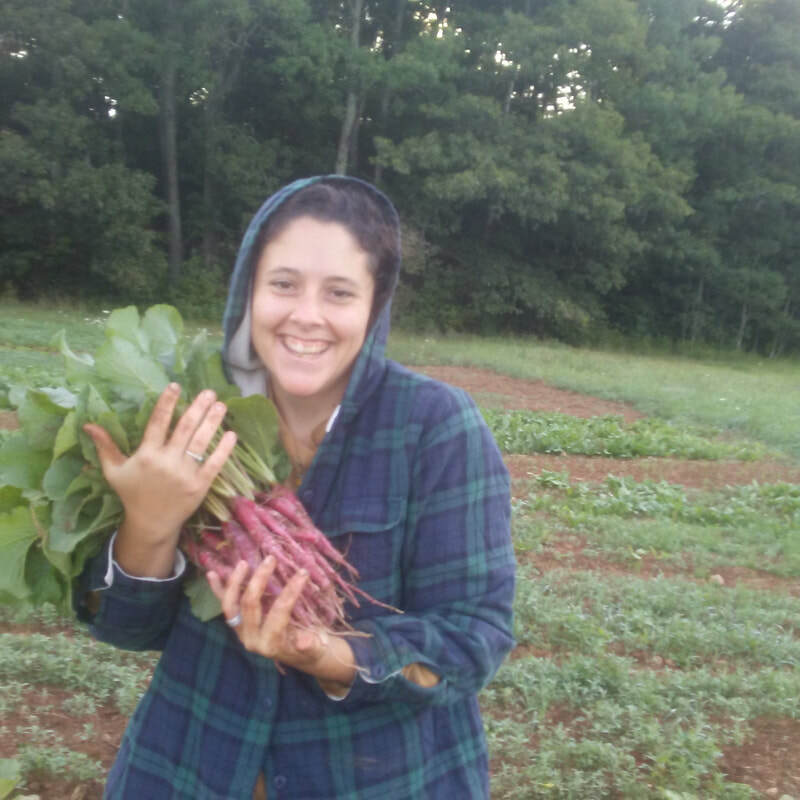 Our CSA (Community Supported Agriculture) has gone through big changes this season and for many reasons. We would like a chance to share with you how and why we are making these changes because there is a lot of thought that goes into it! The main change is teaming up with WFM2go (Wolfville Farmers' Market Online Ordering Service). This service really focuses on the distribution side of things (something very much needed in Nova Scotia) but with a local point of view. 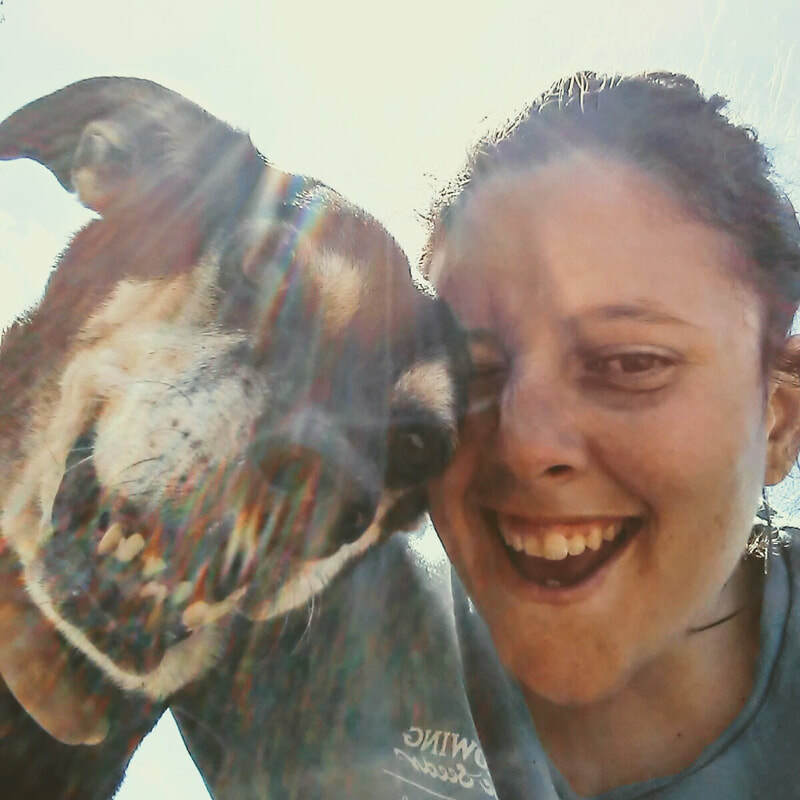 As a small-farm business we would never feel confident in teaming up with a larger distributor because there is so much nuance even in delivering. You need people who know your product, your business, your values and the people at the hubs, because without that a lot of things can go wrong! 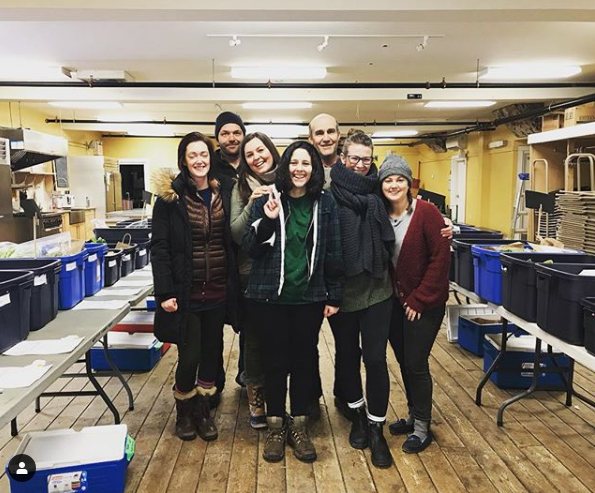 Over the years we have built a very strong relationship with staff and vendors at the Wolfville Farmers' Market and share a lot of the same values and visions for the future. 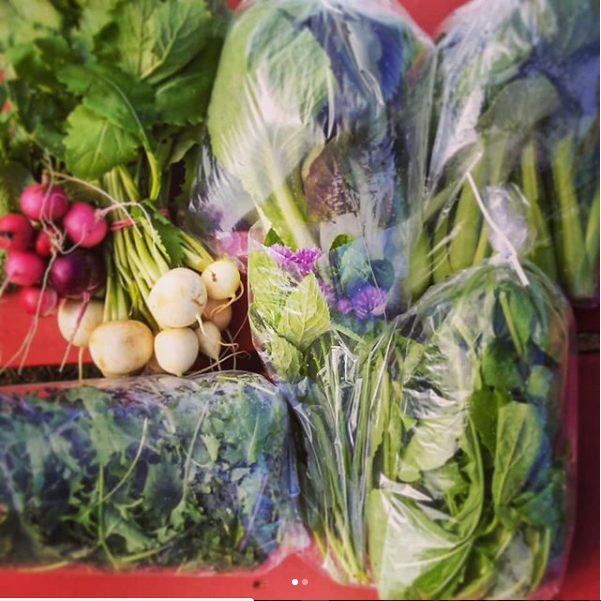 So for us, it seemed like a no-brainer to team up with WFM2go and have them help us get our CSA shares to the city each week! So how does this help us? This frees up nearly an entire day that can now be dedicated to farming which is the backbone of our business. Last season there were many unexpected curveballs that mother nature threw our way and it added on lots of extra work to an already very full schedule. For instance when we got our early frost we had to spend extra time covering what we could, seeding extra transplants to replace what we lost and re-planting out those transplants. The reality of farming is that you'll never have enough time to get everything done but you can always get more done each year if you plan it a little better, so that's what we're doing. 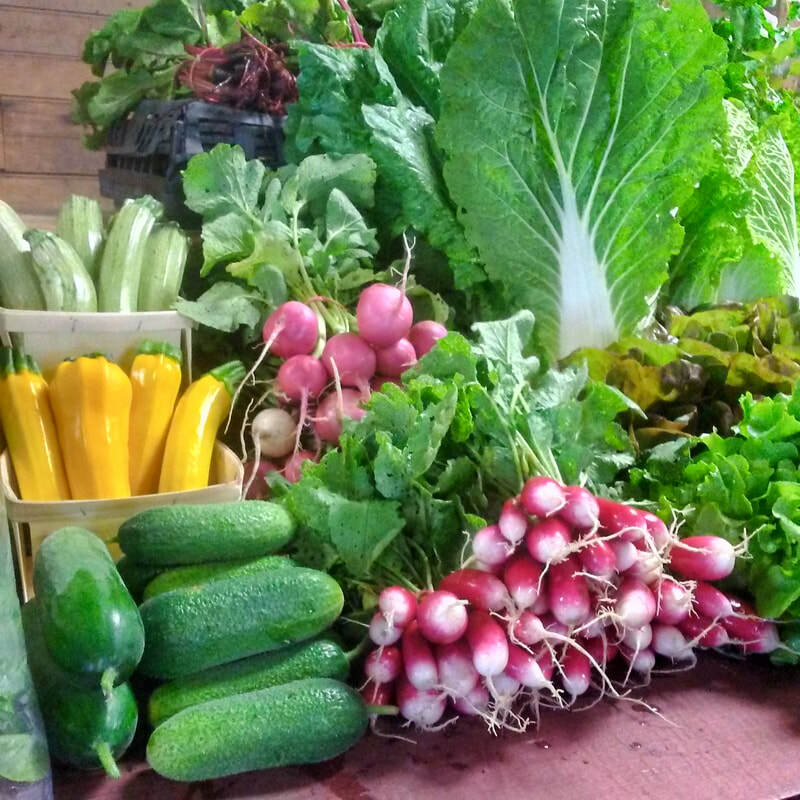 There are also many added benefits to our CSA members, the main one being that they can now add-on many more local products and with much more ease. 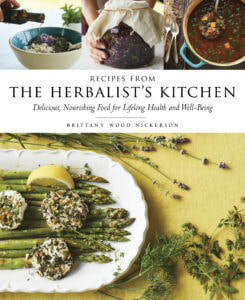 Some of these local products include free-range eggs, milk, free-range meats, ferments, grains, breads, tonics, teas, etc. Before we use to handle collecting these orders and payments ourselves, which was a whole other job we simply don't have time for, but we knew this was of great value to our customers so we are glad we were able to come up with a better solution! 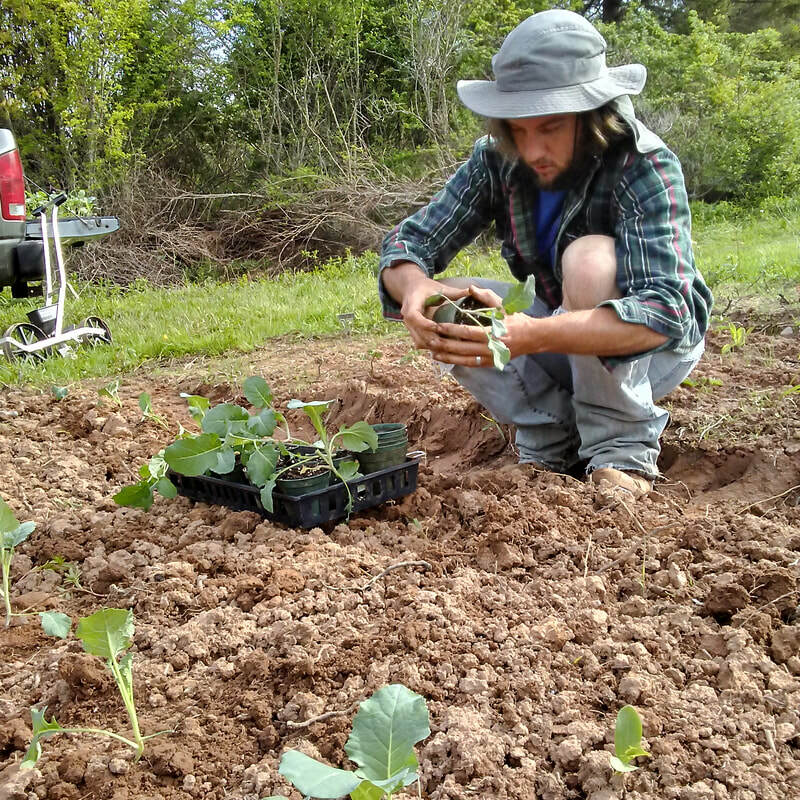 The other benefit CSA members will get is building their relationships with local producers outside of our farm. 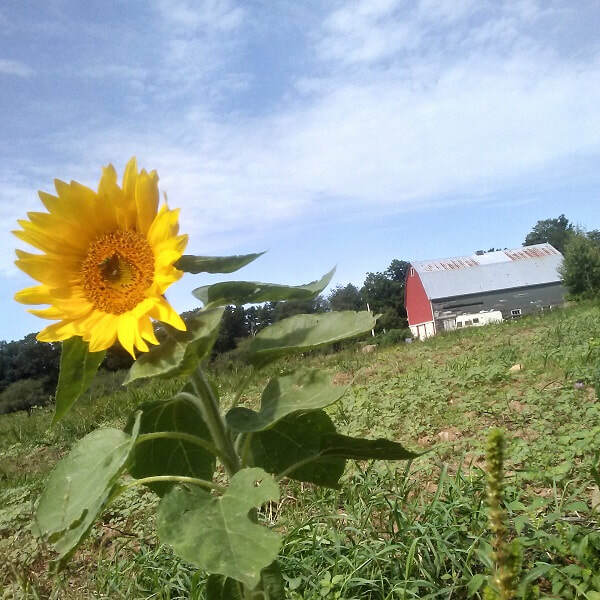 We have always strived to share and support other producers whenever we could and we know our members would love the opportunity to grow their local food family!